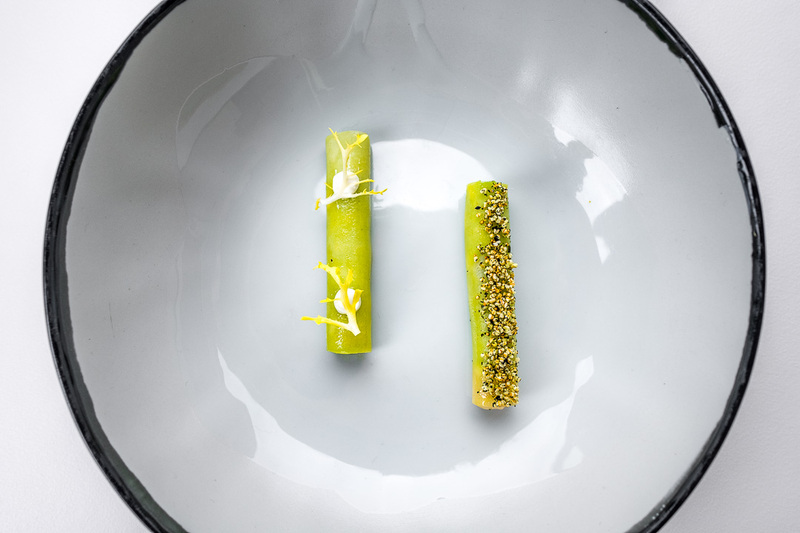 Year after year the uncontested number one in Belgian gastronomy. 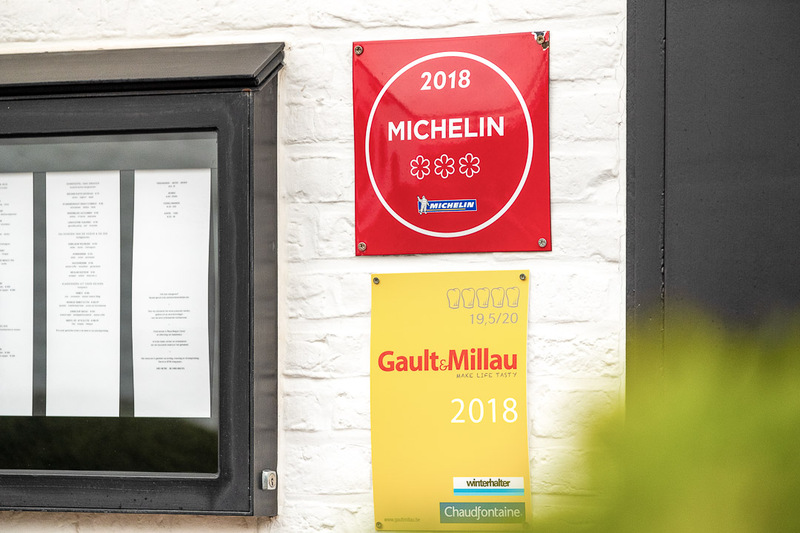 The only Belgian restaurant to hold three Michelin stars, receiving the highest quotation of 19,5/20 in the Gault&Millau guide and ranked number 20 on the list of The Best Chef Awards 2018. 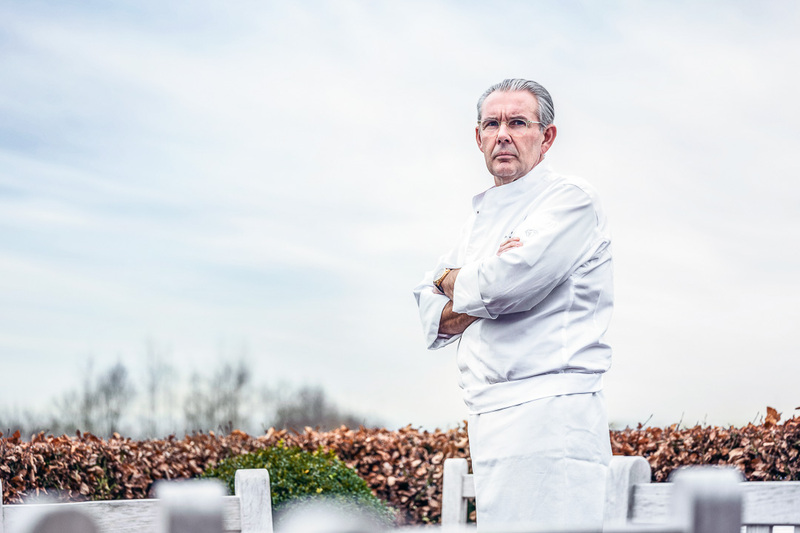 No doubt Peter Goossens is one of Belgium’s most respected chefs. 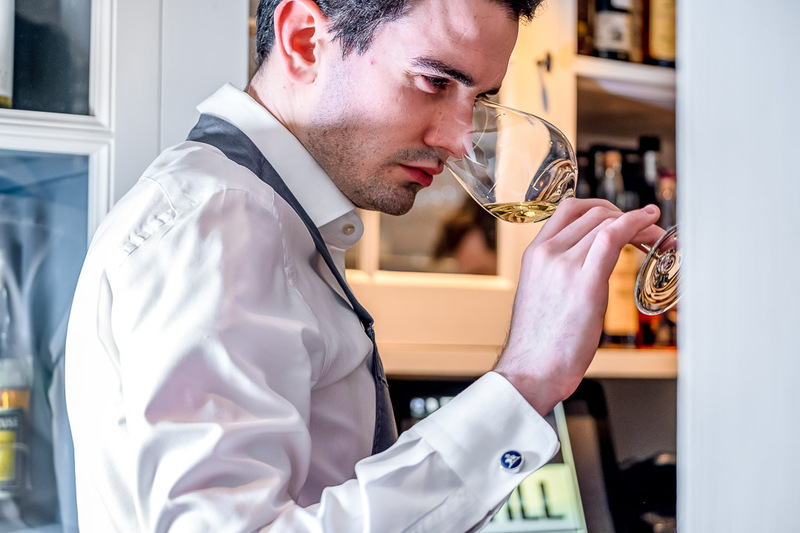 He’s also the representative of the true Belgian cuisine in the most refined form and he embodies service with a capital S. But what makes him tick? How did he get at that top level of haute cuisine and how does he and his team manage to give the very best of themselves day after day? 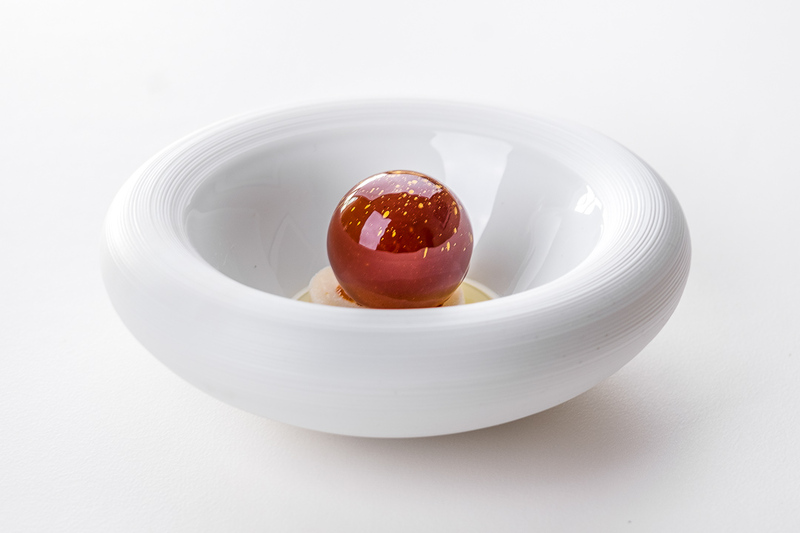 Intrigued and curious as we are, we arranged a trip to Hof van Cleve, the culinary temple representing Belgium’s finest. When we arrive at Hof van Cleve in the early afternoon, we immediately get a warm and polite welcome of Valérie, the personal assistant to Peter Goossens. 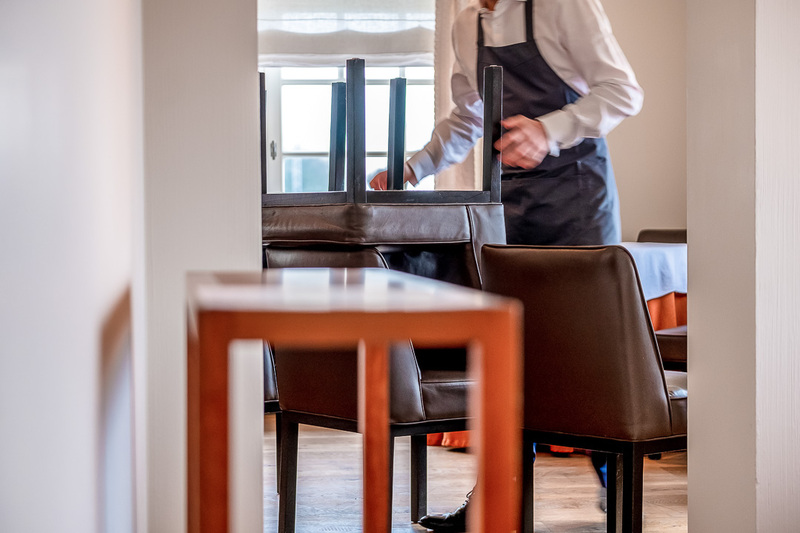 She shows us the way to the kitchen and the dining room, where the team is already busy preparing for the evening service. The following hours are quite an experience as we watch them build up everything from scratch to perfection. People are cleaning the floors, the chariots and the furniture till everything is spick-and-span. The florist arrives with fresh flowers, personally presented to chef Goossens, who nods in agreement. 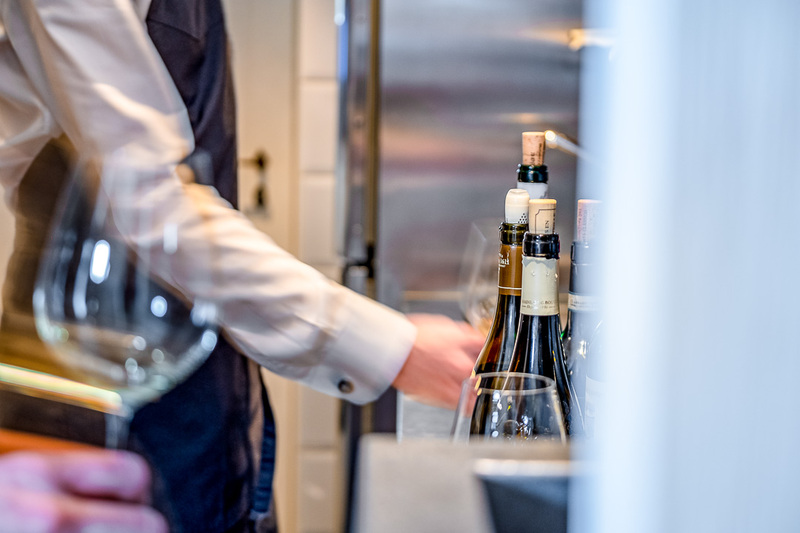 Then a wine supplier arrives to taste some of the finest bottles together with the sommeliers in order to make a perfect selection. The silver tableware is cleaned and polished till it’s bright and shiny. 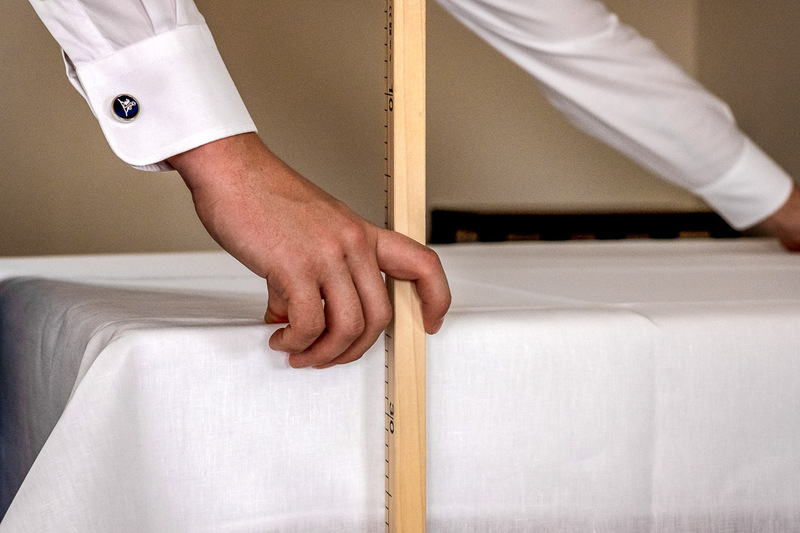 And the stiffened table linen is ironed and carefully measured to have it cover the tables with perfect symmetry. Then it’s time to set the tables, polish the shoes and add the finishing touch with some decoration. 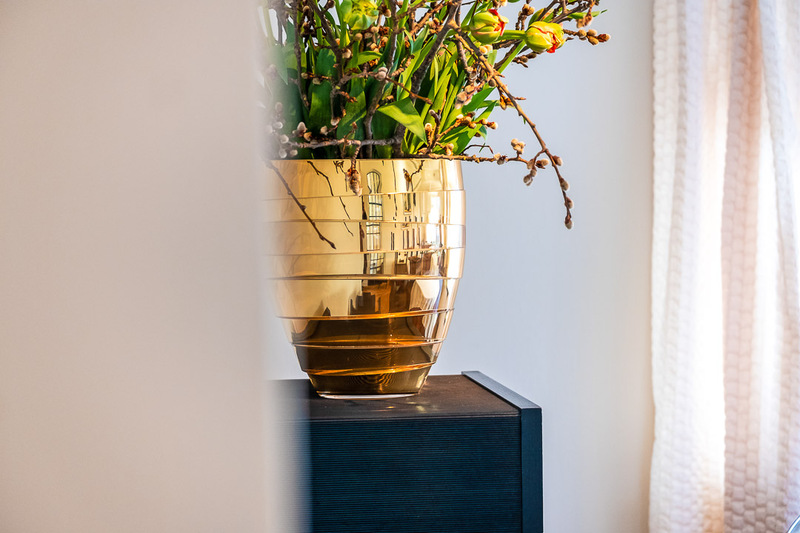 “God is in the details” they say, and we can confirm that’s definitely the case here at Hof van Cleve. Of course we don’t need to explain that in the meantime the kitchen is in full preparation mode as well. 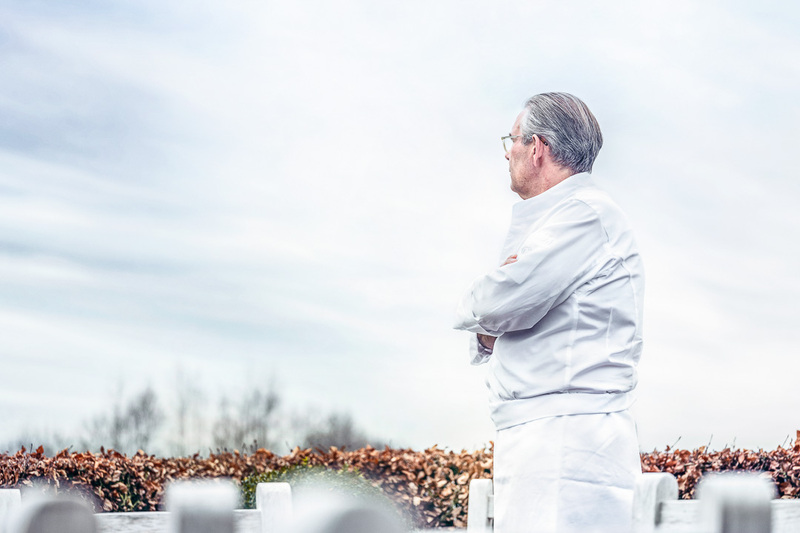 Kitchen chef Floris Van Der Veken – Peter Goossens’ right-hand man – has it all under control. 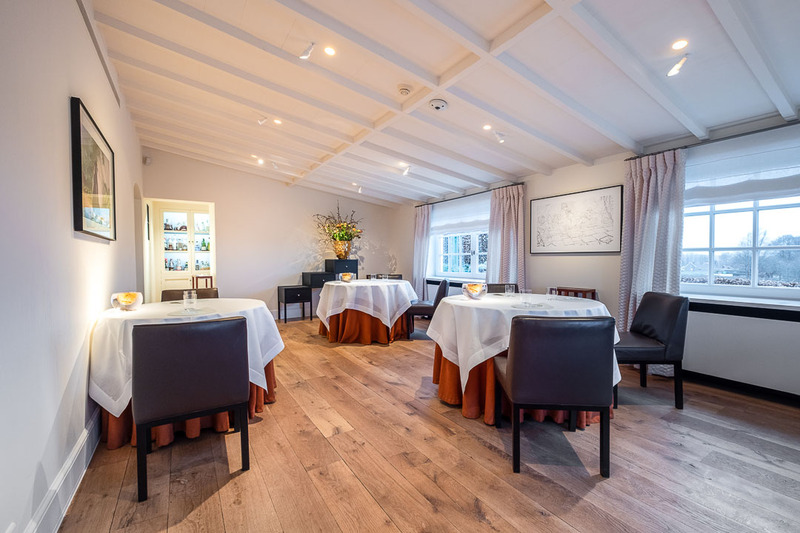 The owners of Hof van Cleve are among Belgium’s most respected power couples. 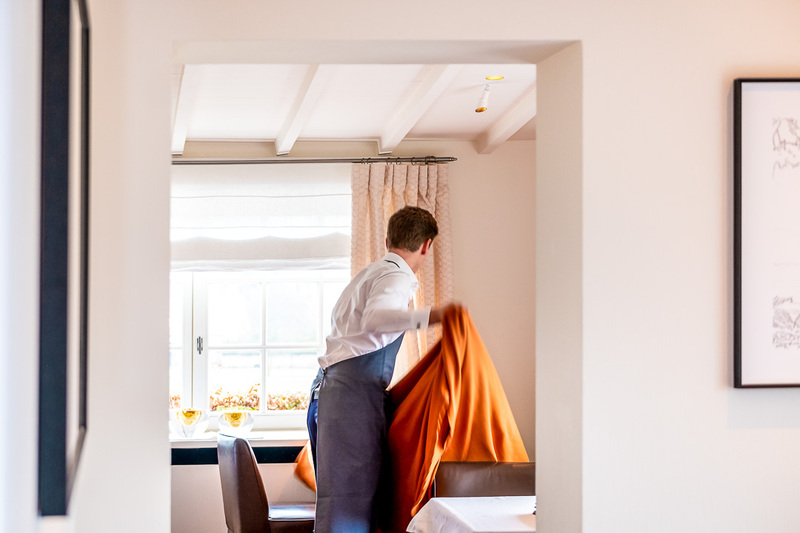 Peter Goossens leads the kitchen team, and as a hostess his wife Lieve Fermans manages the service. 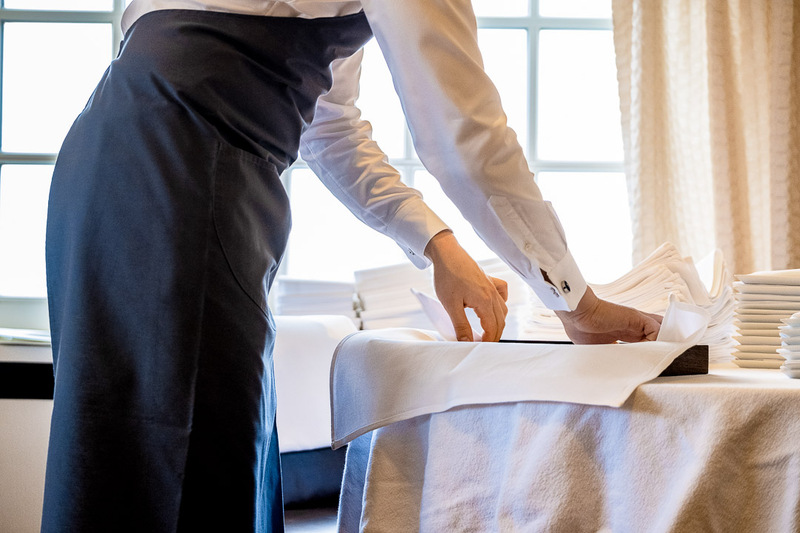 Their professionalism and experience has made Hof van Cleve so much more than a restaurant. 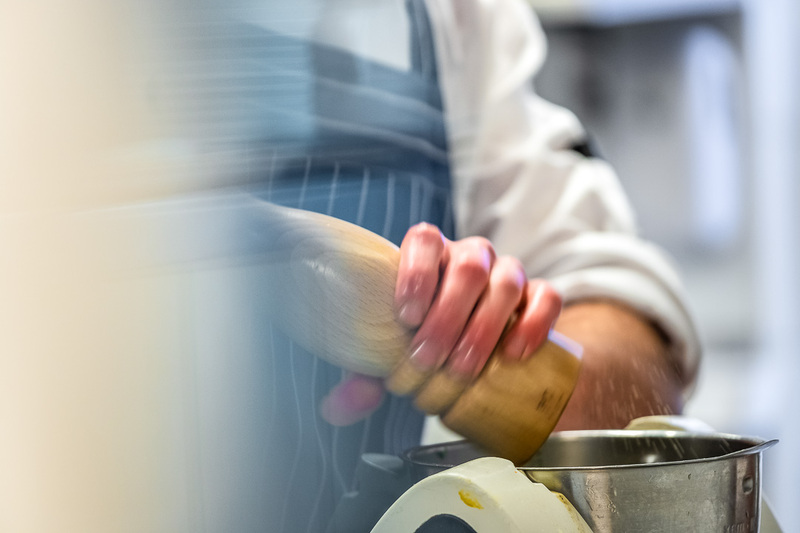 It’s an inspiration for chefs and foodies all over the world, as well as a breeding ground for culinary talent eager to perfect their skills. 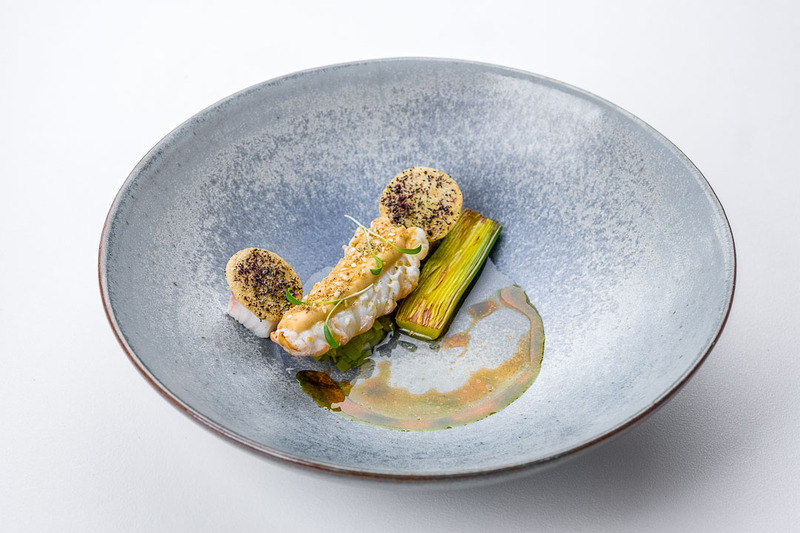 Peter Goossens himself went to the culinay school of Ter Duinen in Koksijde and then moved to France to work amongst several top chefs in Paris and Thoissey. 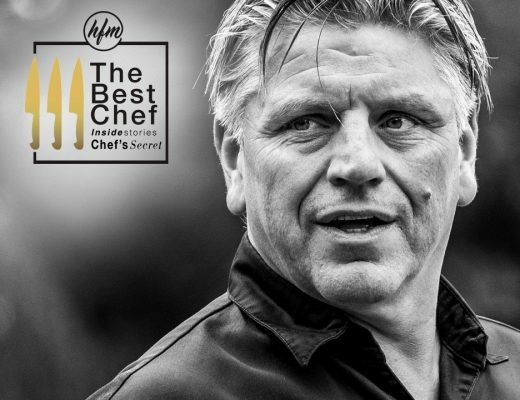 In 1987 he started his own restaurant in Belgium and in 1992 Hof van Cleve was founded. 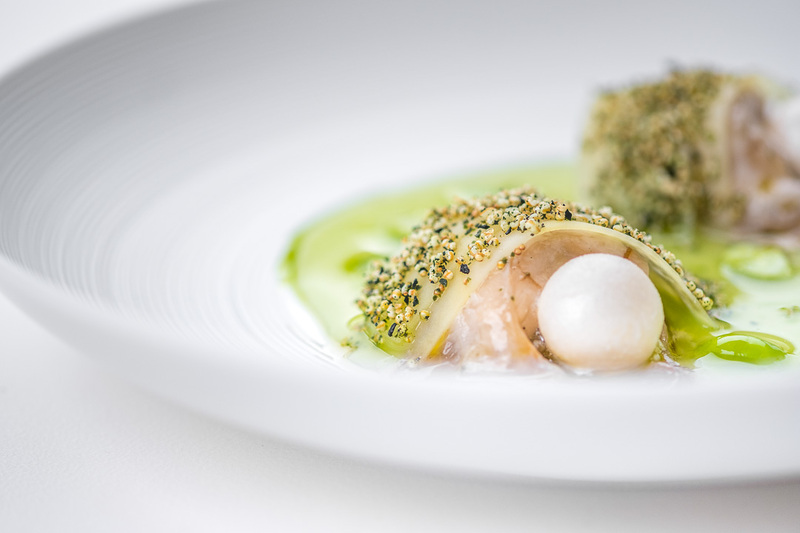 In 1998 Peter Goossens was one of the youngest chefs in Belgium being awarded two Michelin stars. For many years he has been a familiar face on Belgian television as well, learning the Belgian people how to cook and acting as a judge in several culinary TV shows. 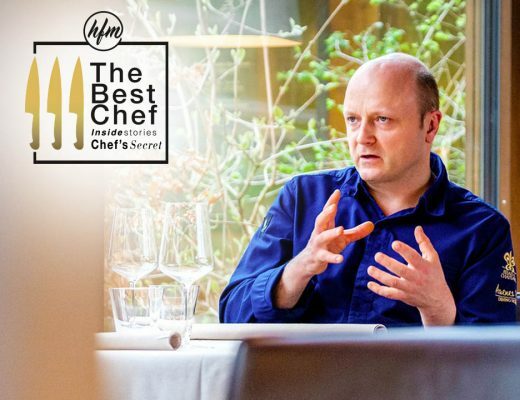 Today he’s fully focused once again on his restaurant Hof van Cleve, which is at this time the only three starred restaurant in Belgium. 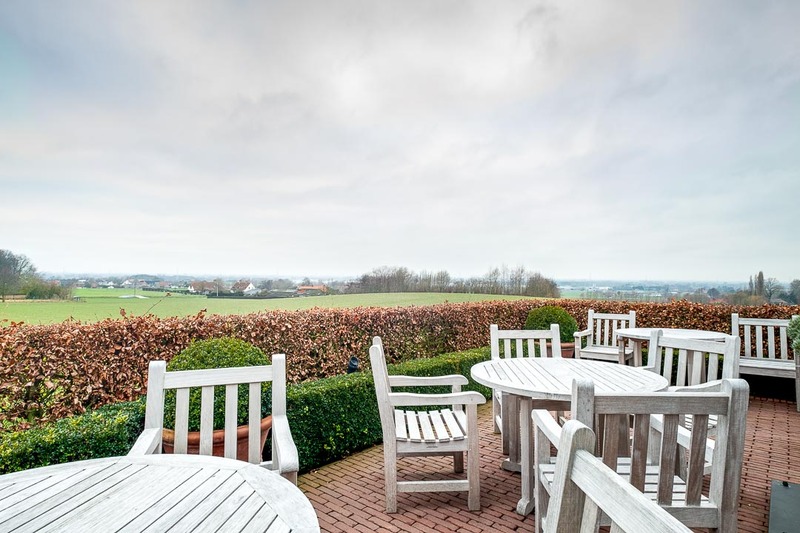 In the countryside lies a narrow road between the fields and the hills of Kruisem that takes you to Hof van Cleve. 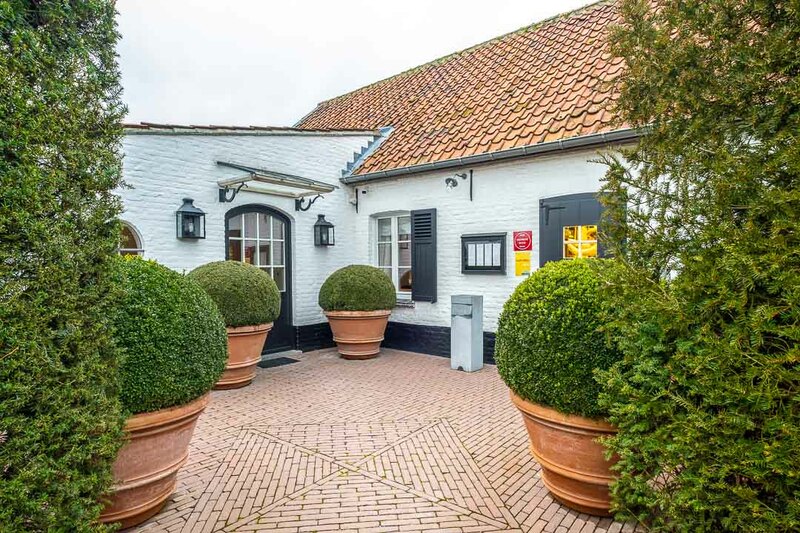 When you turn up that driveway the excitement already starts, your heart starts racing, as this is the moment you realize you’re going to discover the greatest restaurant in Belgium. When guests enter the white villa through the stylish gates they are immediately welcomed by hostess Lieve and the team. 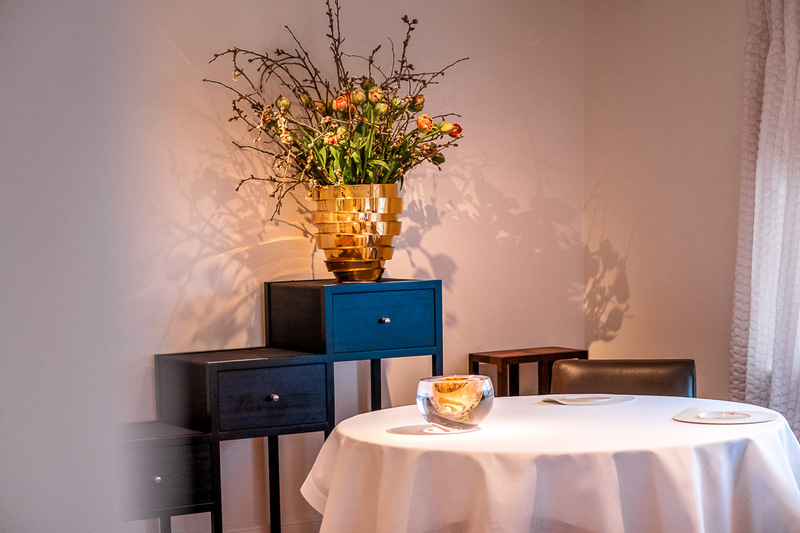 The concept of discrete luxury and the best possible service is reflected in the building as well as in the interior design at Hof van Cleve. 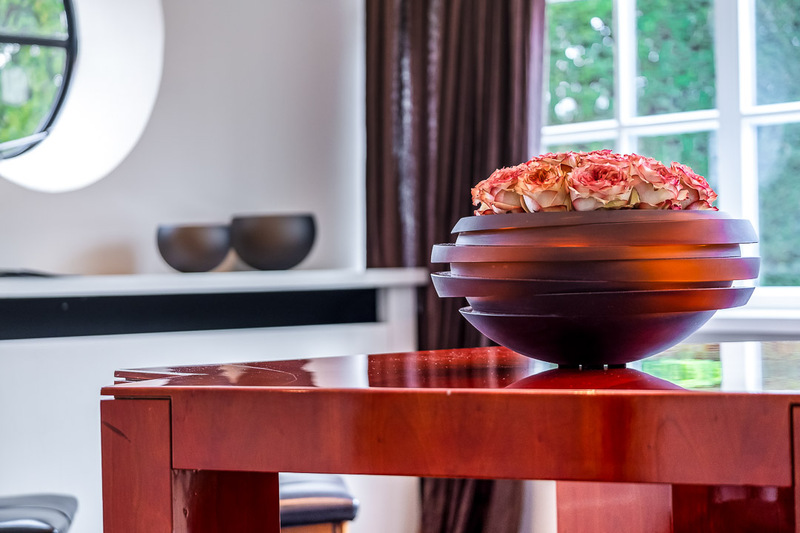 No shiny bright or showy decoration here, but intimate design of top quality, when possible, made in Belgium. For the selection of the art, Hof van Cleve also has an interesting concept. Every year during the maintenance works in the restaurant all artworks are replaced by new creations. In the past Hof van Cleve has featured the art of photographer Tine Guns and artist Kris Martin. Today the walls are showcasing stills from David Claerbout’s collection ‘The Pure Necessity’. In this work Claerbout presents a reinterpretation of Jungle Book, leaving out Mowgli and the dancing animals. “His work is generous, as it consists of 93.000 drawings about the daily life of the animals in the forest, which is merely characterized by being truly, deeply bored”, says Peter Goossens. 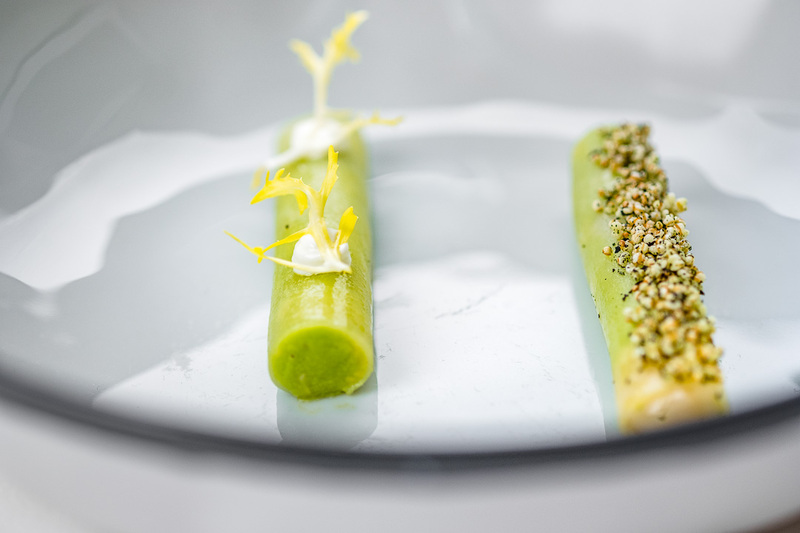 Hungry for More & The Best Chef (Chef’s Secret): First we’d like to congratulate you with your top ranking (#20) at the award show of The Best Chef in Milan in 2018. In the list you’re the first Belgian candidate as well. How do you feel about your top rankings in the most prestigious culinary listings? Peter Goossens: Thank you. Of course, I’m very happy with the awards and the recognition I have received. It’s flattering and fun, and it certainly has an impact on the business. Many things have changed throughout the years though. Back in the days you only had printed lists and books. The internet did not yet exist, so people had to put much more effort into finding and discovering new restaurants. 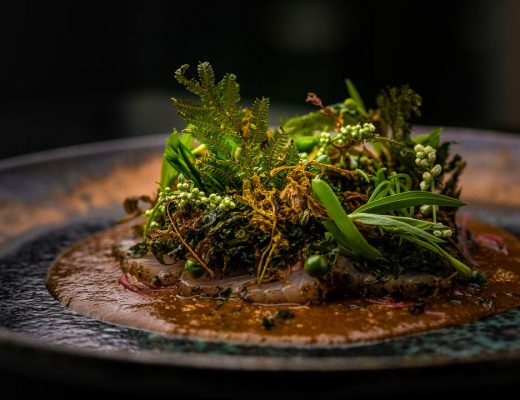 Nowadays you can find so many culinary recommendations online and you can already watch some pictures of the dishes of the restaurant that you consider to visit. For us as well those evolutions have had an impact and we need to stay up-to-date via a variety of contemporary communication channels. 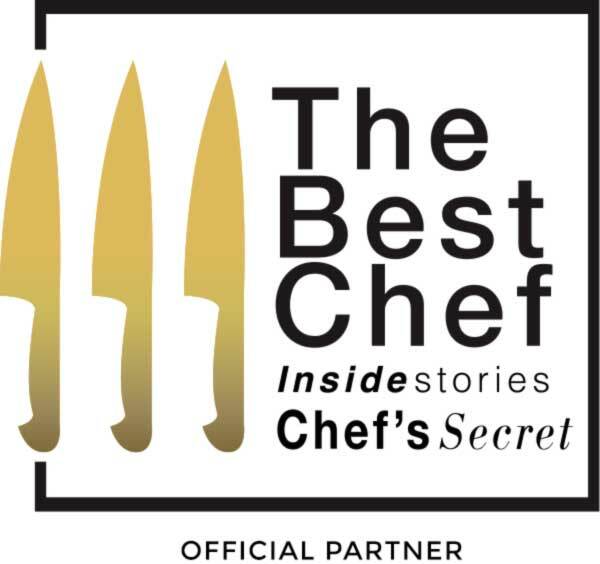 Chef’s Secret: So awards and recommendations are important, but they don’t seem to be your real drive. Peter Goossens: Indeed, it’s not the lists that keep us going every day. Our clients and our dedication to offer them the best experience, that’s our real motivation. People might find your restaurant in a culinary list and they might come once or twice to discover what you’re doing. 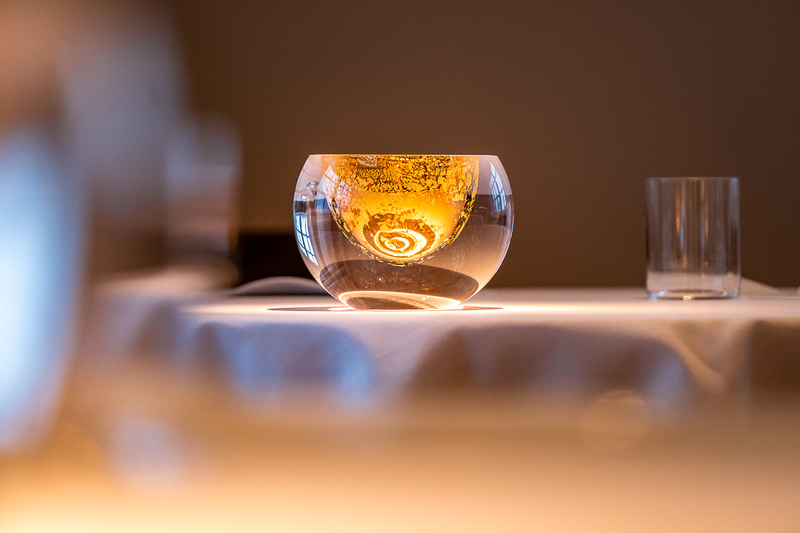 But to convince them it’s worth coming to our restaurant time after time, we need to offer them an unforgettable dining experience, one that represents our personal style. To me it’s really important to have that signature style in my restaurant. Every restaurant should know what it stands for. Chef’s Secret: Could we say that it’s your signature style that has brought you where you’re at now? And what is that style then? Could you explain us a bit more about your vision? 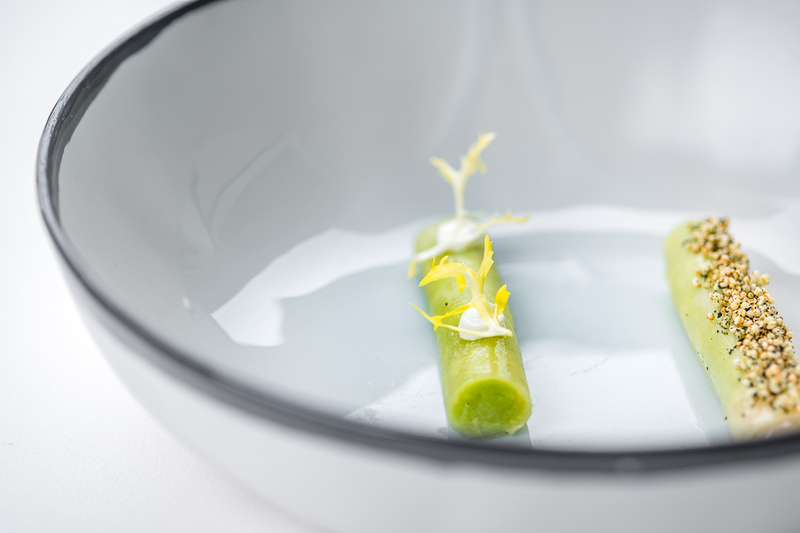 Peter Goossens: The products that I use in my cuisine are key to me. That’s of the utmost importance and it’s in the same time what characterizes Hof van Cleve. We start from top quality produce. The best ingredients possible are the best basis for the best results. Then you start building up the dish around that top quality ingredient till it makes sense as a whole. So in my cuisine you won’t find flowers, leaves or herbs for the sake of decoration. Those condiments can have such an intense flavour, that they would dominate the whole dish. 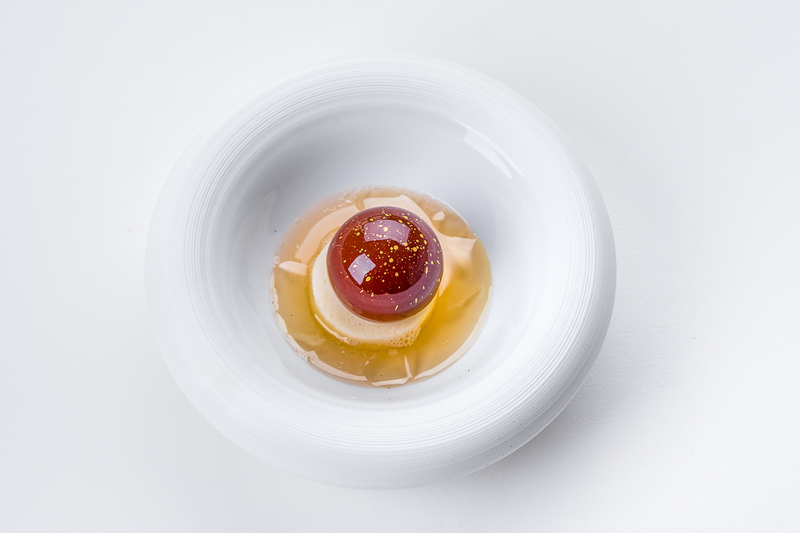 Chef’s Secret: You already mentioned the evolutions in the culinary landscape. How do you deal with them? Peter Goossens: Everything depends on the way you approach things. There are many trends, but they’re not all just as relevant to you. Let’s take food sharing as an example. Depending on the occasion why you’re dining at a certain place, the company and the type of food, the food sharing concept can be nice. But it’s just not relevant for a place like Hof van Cleve. Contrary to hip places, fast casual bistro’s or restaurants in big cosmopolitan cities (often located in well-known hotels), our place is a true destination restaurant. People don’t come here for a fast and fancy snack. They expect a full evening program, similar to a night out at the opera house. Nevertheless, evolution is also a good thing in the way that we always want to strive for better. It ain’t done, till it’s perfect. Maybe you could say I’m a bit of a maniacal perfectionist, as it’s part of my personality, both professional and private. That way I consider it very important to have a solid and thorough preparation. First we need to study what and how we want to do something in our restaurant. Next we can make the briefing for the team, so we can make sure our plans are flawlessly implemented. That’s the only way to get things done and to get everything function real smoothly. Another evolution you can see is that of social media and the digitalisation of the world. 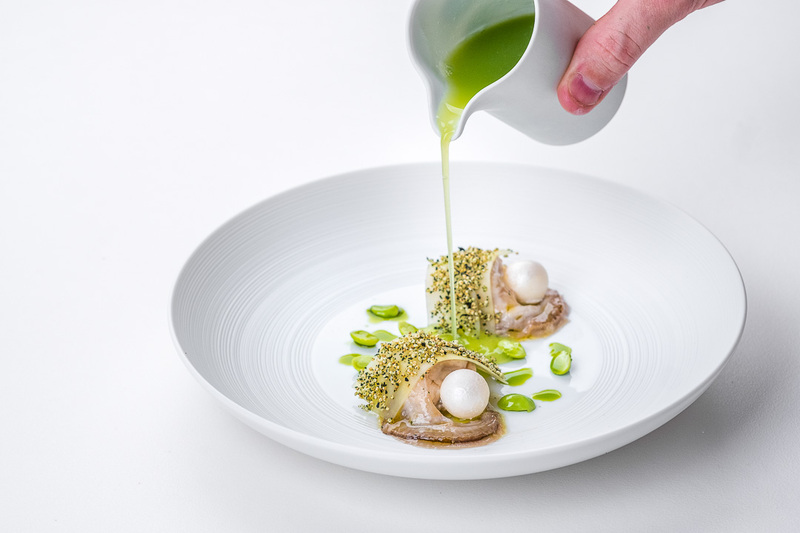 You just need to go online and check Instagram to see what other chefs are doing. I think it’s nice to discover what others are creating, but the downside is that the effect of surprise is lost. When you book a table at a certain restaurant you can already see what the restaurant looks like, what dishes they serve and what other people think of it. So the impact of the digital revolution cannot be underestimated. 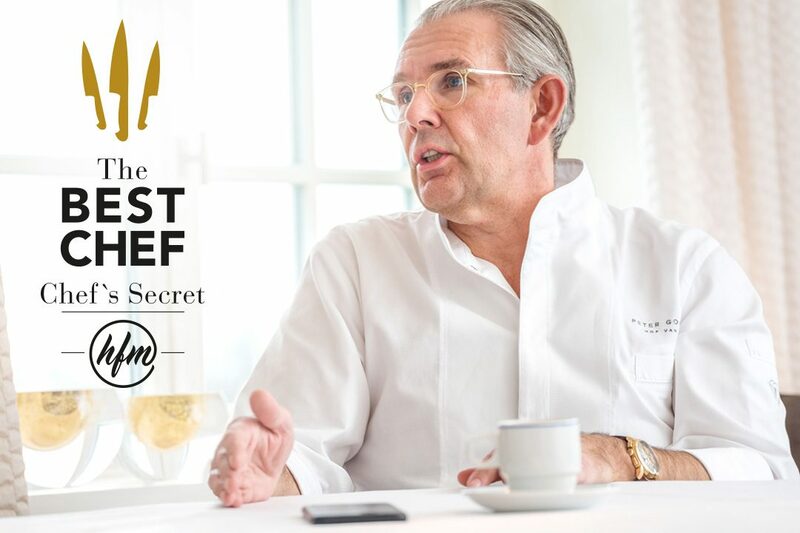 Chef’s Secret: How would you describe the style of Hof van Cleve? 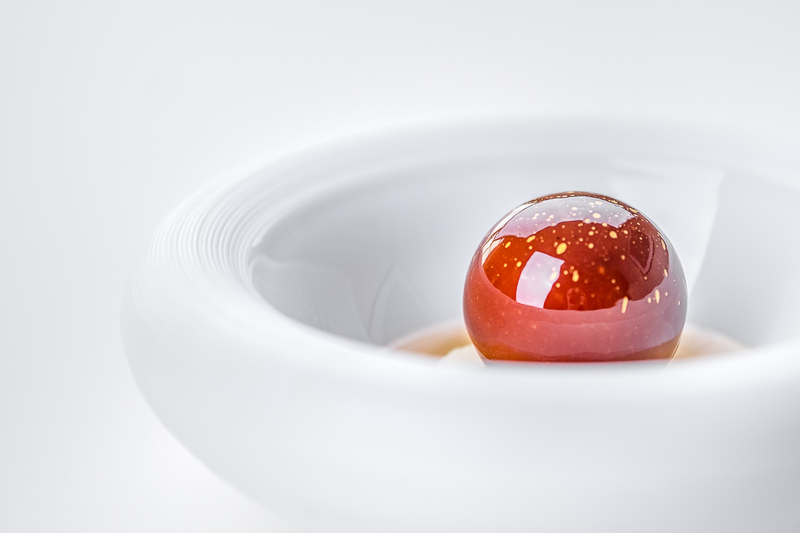 Peter Goossens: We’re a contemporary Belgian gastronomic restaurant with a great respect for classic values. The fact that we’re working with mostly Belgian artisans is really important to us. We have huge respect for their métier, so we want to support what they’re doing. 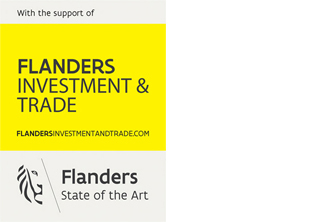 Furniture, decoration, textile, plates,… it’s all created in Belgium. The table linen is by Libeco and Verilin. The chairs are by Jules Wabbes, who even created this particular colour especially for Hof van Cleve. Chairs are an important investment I think, as guests spend a long time sitting on these when they’re visiting our restaurant. 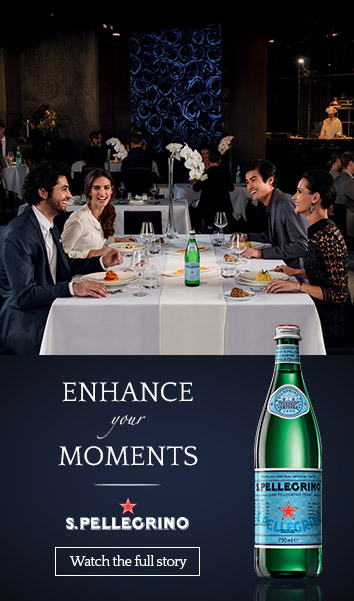 People should feel totally comfortable, so they can enjoy the ultimate fine dining experience. 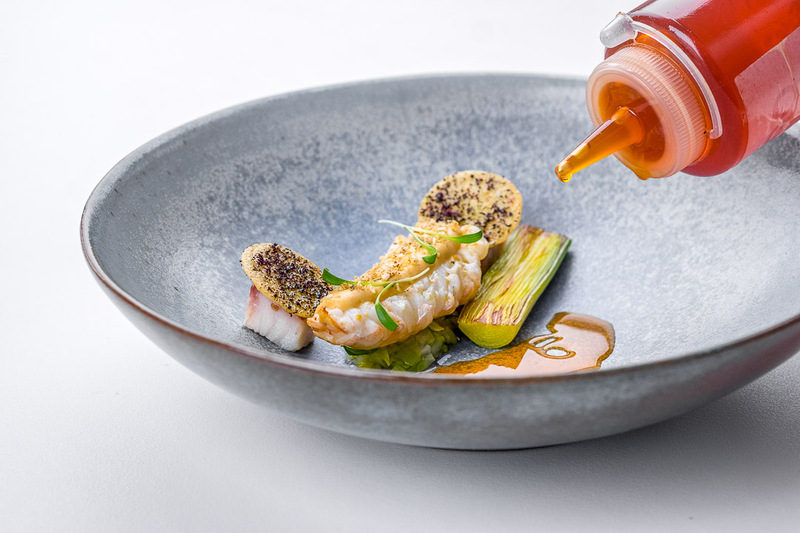 Furthermore, the plates are by Piet Stockmans (as we choose for porcelain and it’s top notch), the knives are by Antoine Van Loocke and the vases are by Anna Torfs. 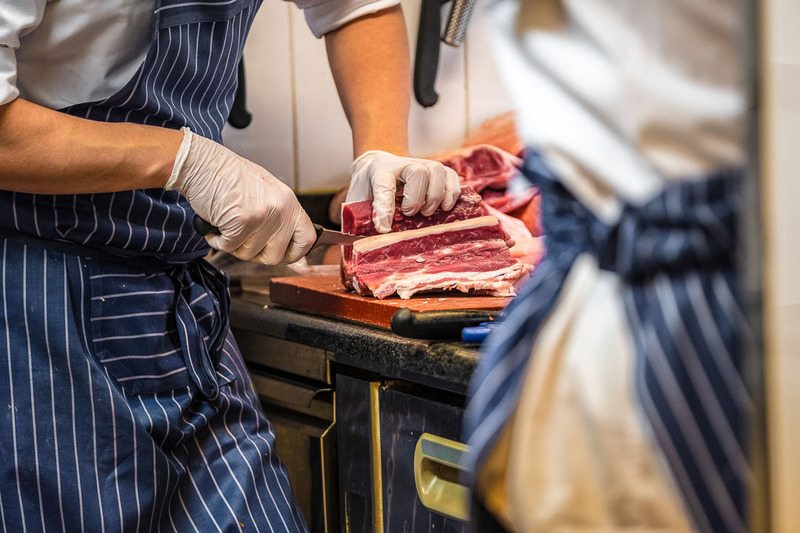 Chef’s Secret: Chefs and craftsmen, they’re not so far apart it seems. Peter Goossens: Definitely. As I said, I respects artisans and craftsmen very much, and I’m happy to collaborate with them. Besides designers and manufacturers, we’re also working closely with farmers. I firmly believe we all have our specialty. I’m not a farmer, so I’m not going to grow vegetables or to try to catch fish. There a many farmers that deliver beautiful products because they really feel and understand the soil, the sea and the land. As a chef we are honouring their vegetables, fish, meat and so on. 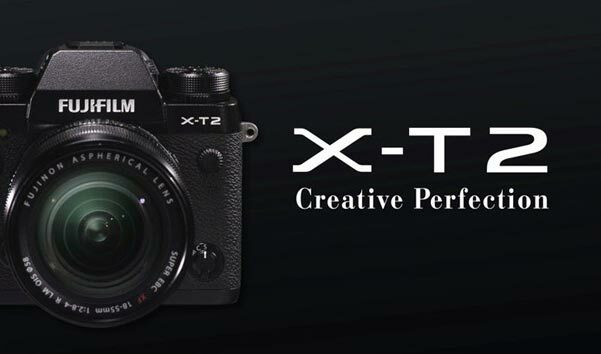 We bring out the best of what is already there. 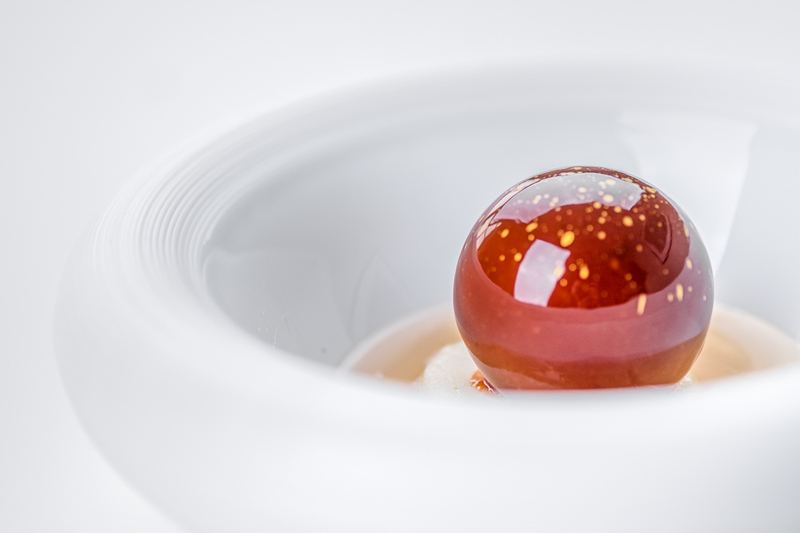 Chef’s Secret: Your restaurant is now the only three starred Michelin restaurant in Belgium. Does that give extra pressure? Peter Goossens: In no way will it cause any stress here. It wouldn’t be a good thing if we’d feel pressured. We just keep on doing what we have been doing throughout the years. And if you want to perform at the highest level, you need to be professionally organised anyway. 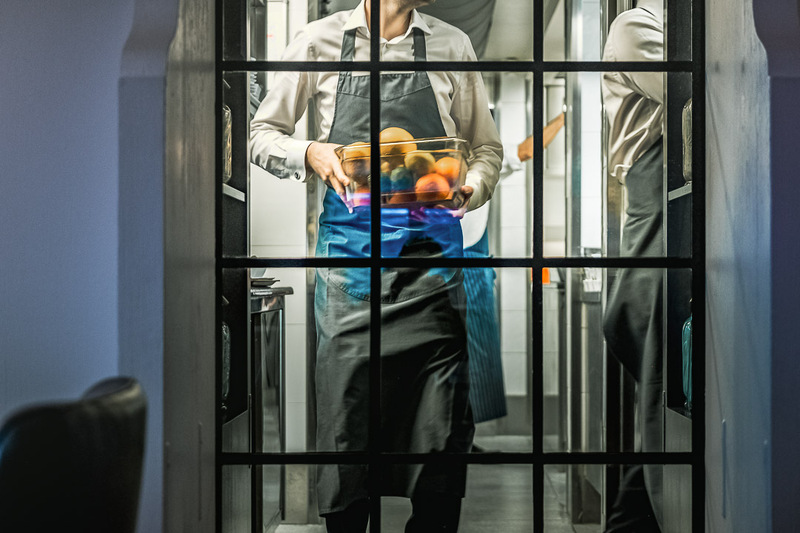 Running a restaurant – especially a haute cuisine restaurant – takes more than cooking and serving food. Food cost, HR, supplies, wine stocks… it all needs to be managed, so you need to work on every aspect intensively. Besides that, Michelin doesn’t ask you to do certain things differently. 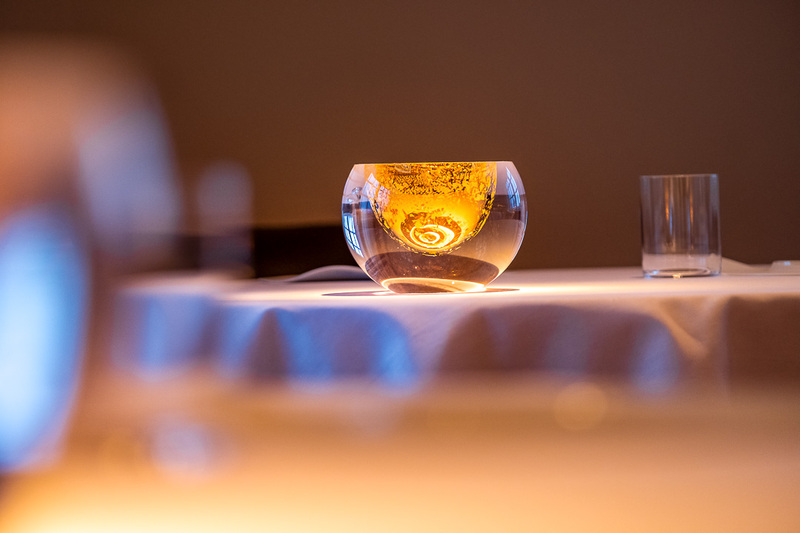 You know their expectations, but what they do award in the end is your type of cuisine, the service and the experience. So it’s important to stick to your own style instead of changing things in order to comply with who knows what. At the moment we might be the only Michelin restaurant having three stars, but I’m sure new names will come. There’ve always been others before and there will be new candidates in the future. 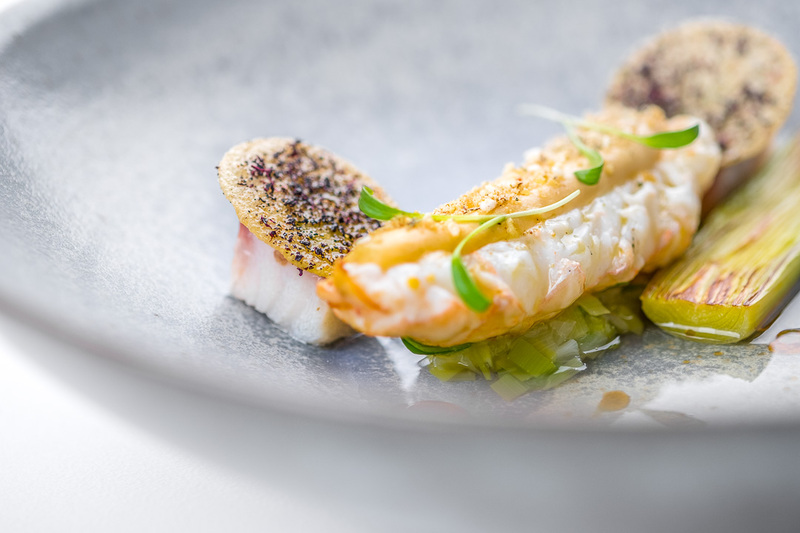 I’m not worried about the competition of other top restaurants, since I mentioned already that I’m convinced everyone should have his own style and that style will be what differentiates you and what Michelin’s recognition is built on. 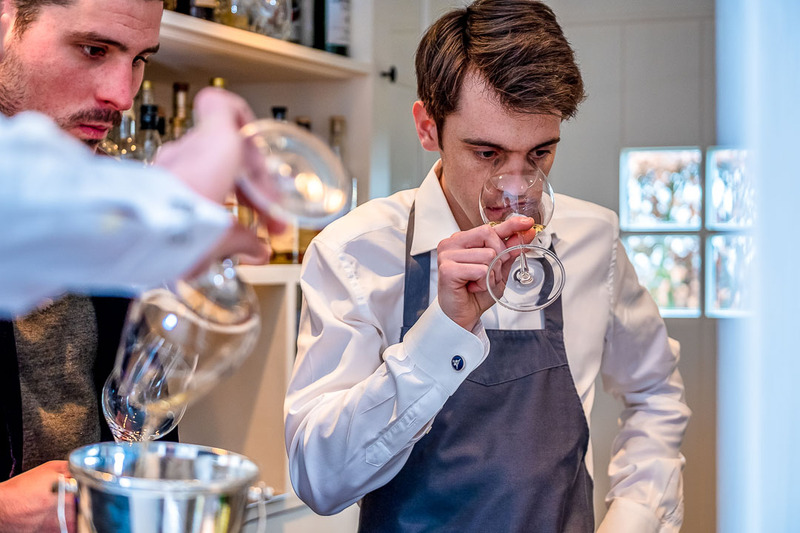 Chef’s Secret: Young chefs like Michaël Vrijmoed and Maarten Bouckaert, who are now running their own successful restaurants, have all been trained at Hof van Cleve. How do you manage to attract youngsters who’ve got what it takes to come to work at Hof van Cleve. 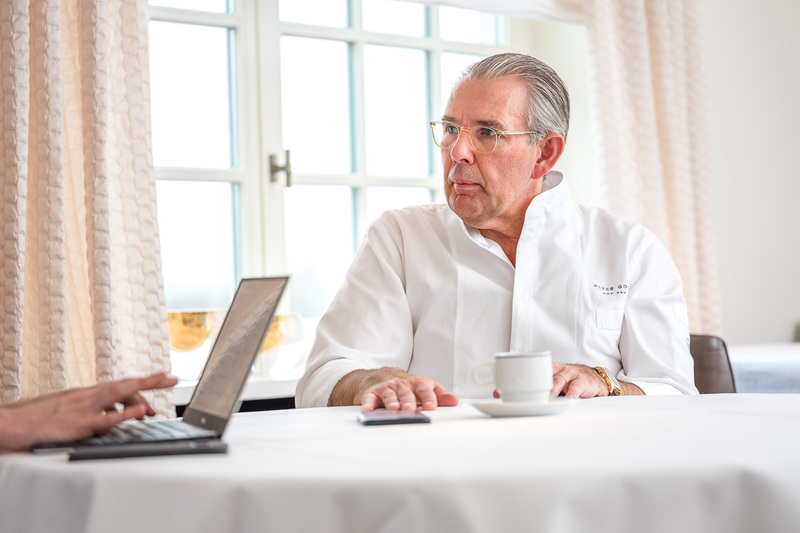 Peter Goossens: We are indeed a place where many talented chefs have been trained. People that come to work here at Hof van Cleve know they will have to give their best day after day. In return we will do everything to grant them the best possible education, by engaging them in specific training sessions, by giving them access to the most professional tools and information and by coaching them intensively. But also by giving them the liberty to develop their own skills and interests. And they get a lot of responsibility, something that is necessary if you want people to push themselves. Also the team of the service is taught to live up to the highest standards. Practice what you preach is something that is definitely the case here. 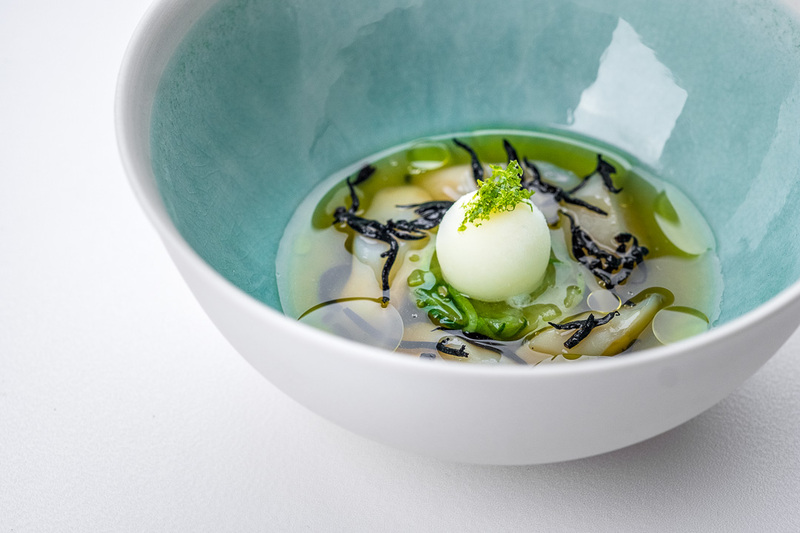 Chef’s Secret: What kind of feeling do you get when you see those young chefs reinventing your style, by mixing it with their personal approach? Peter Goossens: That feels very natural and good to me. What everyone at Hof van Cleve learns is the highest respect we preach for produce and humanity (guests, suppliers, colleagues, partners,…). In my opinion it’s impossible to be creative without mastering the basics. Only when you master the key cooking techniques your creativity can flourish. 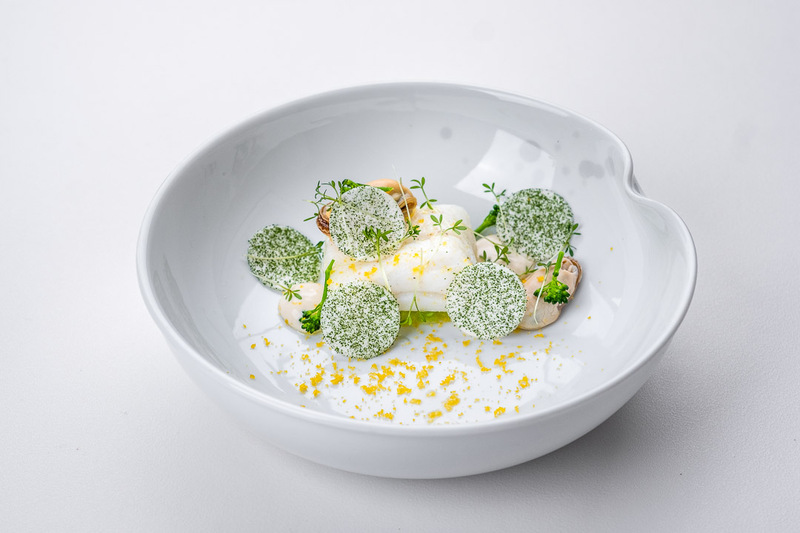 Taste always comes first, after that you can start experimenting with plating or garnishing. 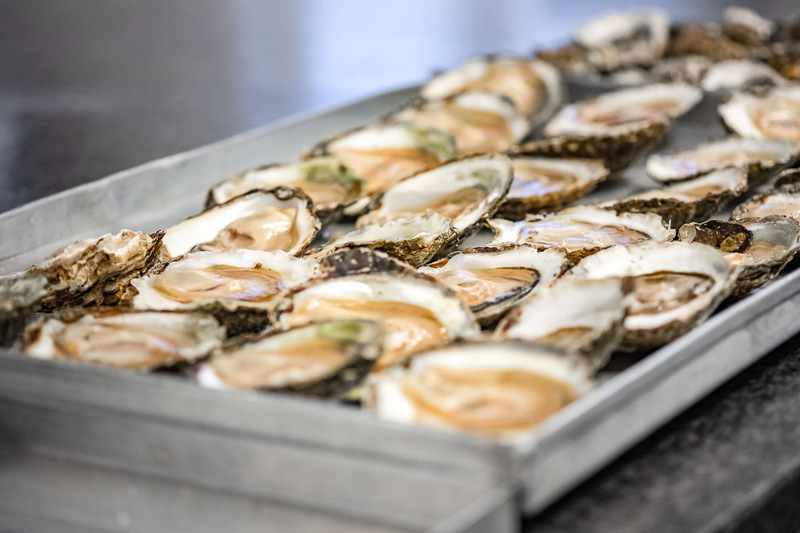 And when we speak about flavour, there’s more to it than just the taste. 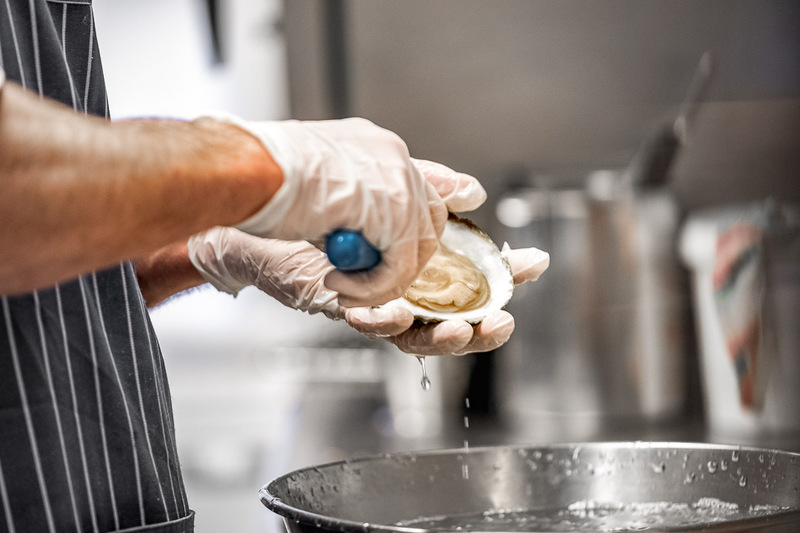 It’s about the total experience combining the smells, the way a dish looks, the textures and the taste. I also consider it a kind of duty to teach younger chefs. When I was young and had just finished my education, I also had to learn my profession and I’m glad I got the chance to be taught by the great chefs in France. Now I also want to share my experience with the younger generations. And if they spread their wings to start their own business that’s just the circle of life. I don’t consider them to be competitors, I’d rather speak of colleagues. Chef’s Secret: Chefs are today’s rockstars it seems. Why is that? Peter Goossens: (laughs) I’m not sure you can say we are rockstars. But it’s certainly true that our profession has benefited from a great deal of media attention, all around the world. In fact it started with Paul Bocuse, who gave gastronomic cooking a whole new elan. It’s also what I wanted to do when I was participating in several TV shows in the past. 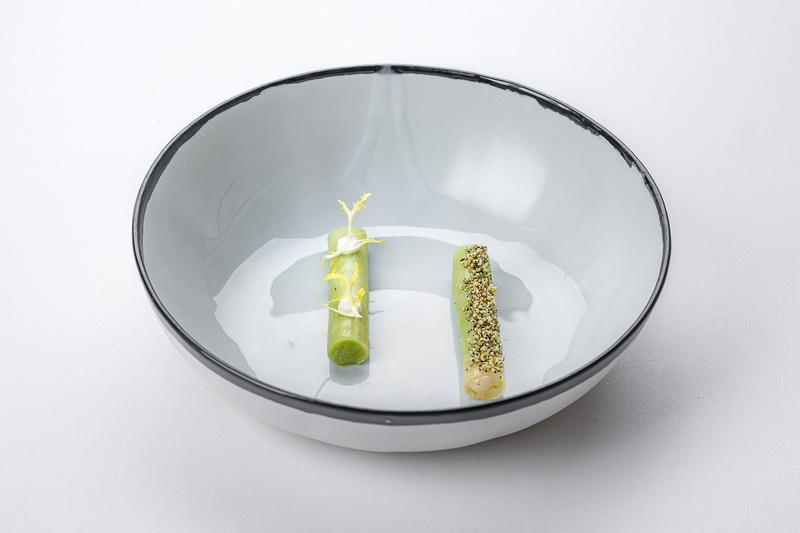 I wanted to show how gastronomy really works, to make clear that it’s not an industry where you can arrive at 11am and just start the lunch service. There’s so much hard work and effort put in our approach and that’s what I really wanted to highlight. And it’s definitely a message that has worked well in the media. Chef’s Secret: What about negative comments and critics? Peter Goossens: To be honest… We don’t get that much negative comments, so I can’t say that it’s something I’m worrying about. We work with people for other people here, so we are human and it can happen that certain guests might not like something when they visit us. But we will make sure we’ve done everything in our power to grant people the perfect experience. 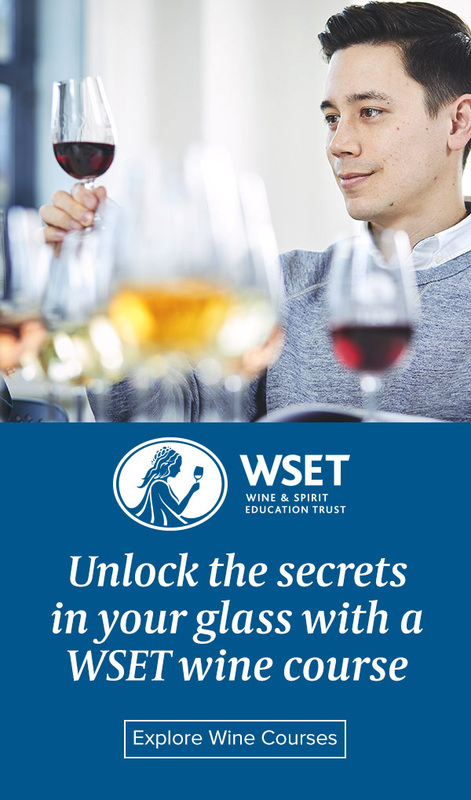 If somebody doesn’t like a certain dish or wine, we’ll immediately replace it and we’ll tap into the client’s preferences. You must meet the expectations when you’re working at the highest level. 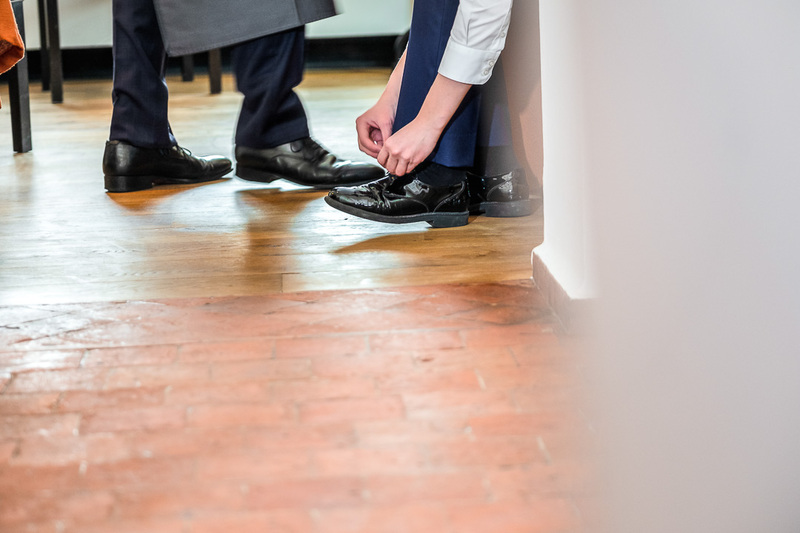 Every team member will get a proper briefing, so we can make the necessary preparations for the perfect guest experience. 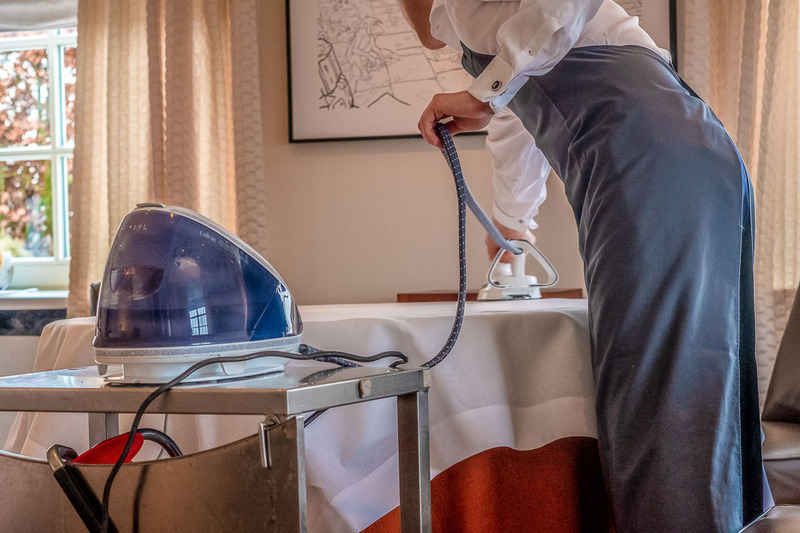 Being discrete and granting a service with as less disturbance of the guests as possible is also something we find very important. 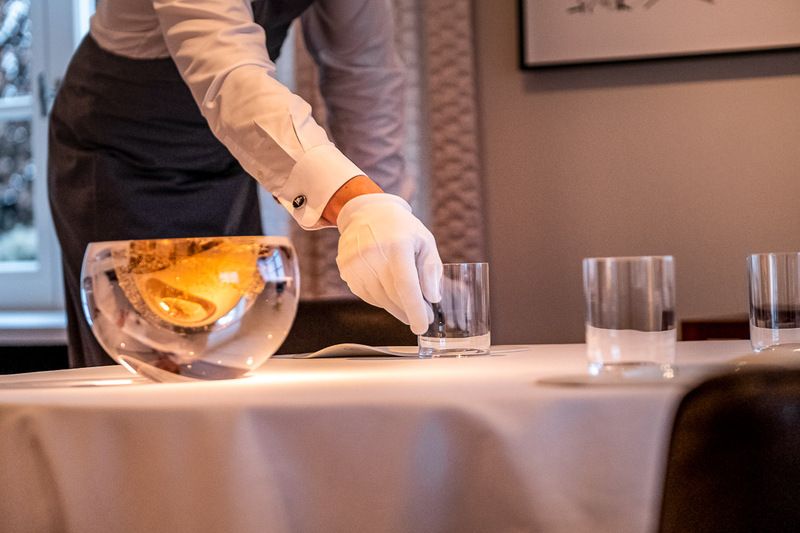 That even means that if we think it’s better to serve the dishes from the left side (although etiquette says it should be from the right side) we will do so, to avoid disturbing the guest’s experience. Day after day we are giving the best we can. How could I imagine coming in here one day, thinking “well yeah, who cares, let’s do things half as good today”. Impossible to even think about that! 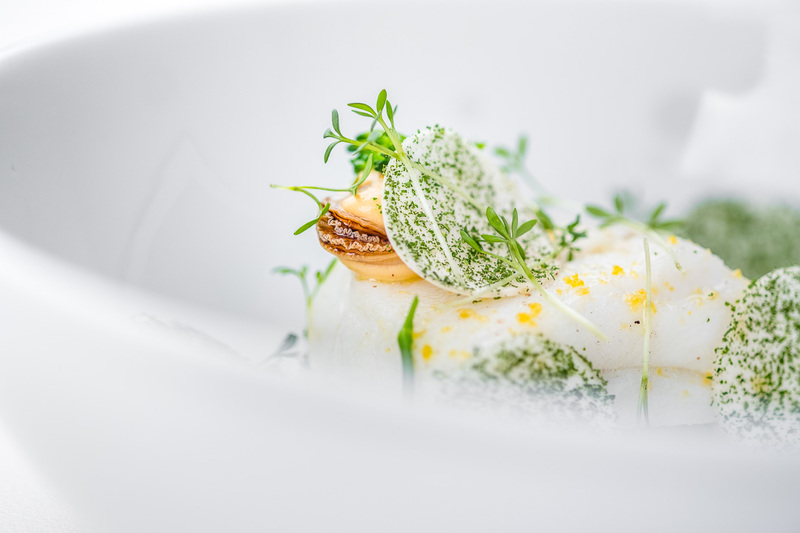 Chef’s Secret: You are famous for your contemporary cuisine that honours the classic values? How do you stay up-to-date? 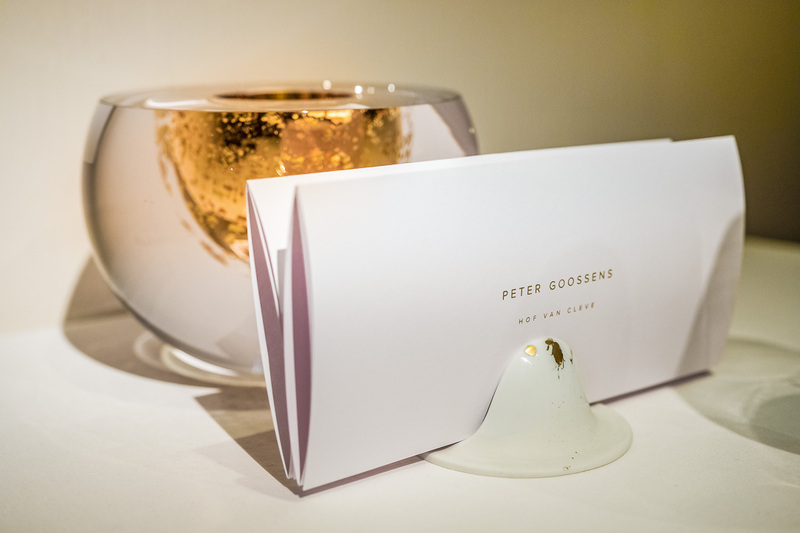 Peter Goossens: We are always innovating within our own style. Today’s cuisine is much fresher and lighter than it used to be. Instead of butter and cream, we use more bouillons or other kinds of ingredients or condiments that are available to us. Also, flavours from Asia are used more often. But it’s not because we integrate let’s say Japanese influences in our cuisine, that we will become a Japanese restaurant. Again, that personal style is quintessential to me. We integrate the new influences and blend them with our own style. For example when citrus is in season, we use yuzu to create our own ponzu. 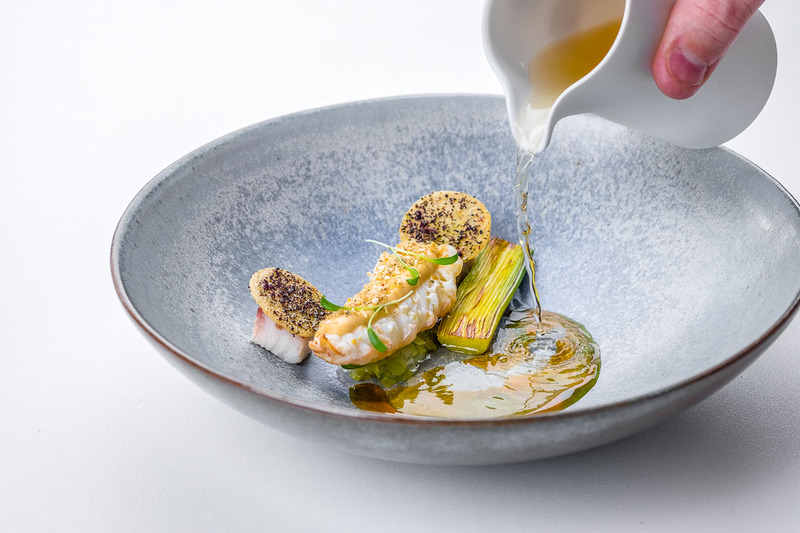 Or we use dashi with smoked eel, an Asian preparation together with a type of fish that is typical for our region. So we combine flavours to create a kind of Belgian dish in the end. In Belgium we have always cooked with vegetables and sauce, two things we traditionally love here. My grandparents also had a vegetable garden. That’s different from France for example, where vegetables are considered as a side dish. In Belgium it is considered to be an essential part of a meal. 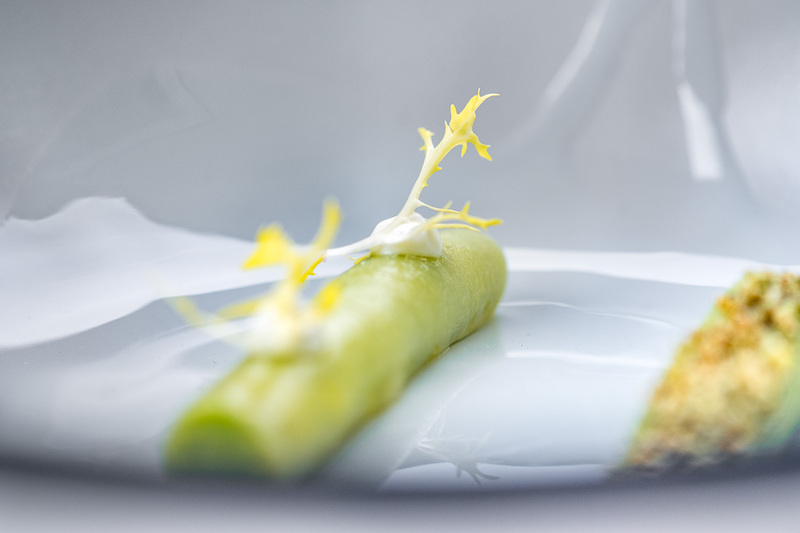 Besides produce, there are other influences that have an effect on the contemporary gastronomy. People are travelling much more often, so the world becomes smaller. Also people are much more conscious about a healthy and sustainable lifestyle. 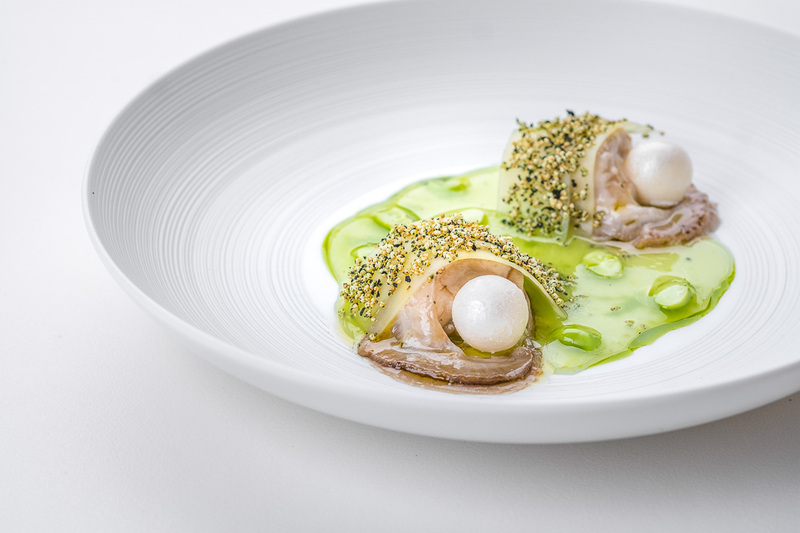 Chef’s Secret: Isn’t it harder to be a trendsetter within a style that stays true to the classic values, compared to an experimental cuisine? Peter Goossens: I don’t think it’s harder to stand out. Our style and philosophy hasn’t changed throughout the years, but we did evolve and we did adapt us to the changing world. 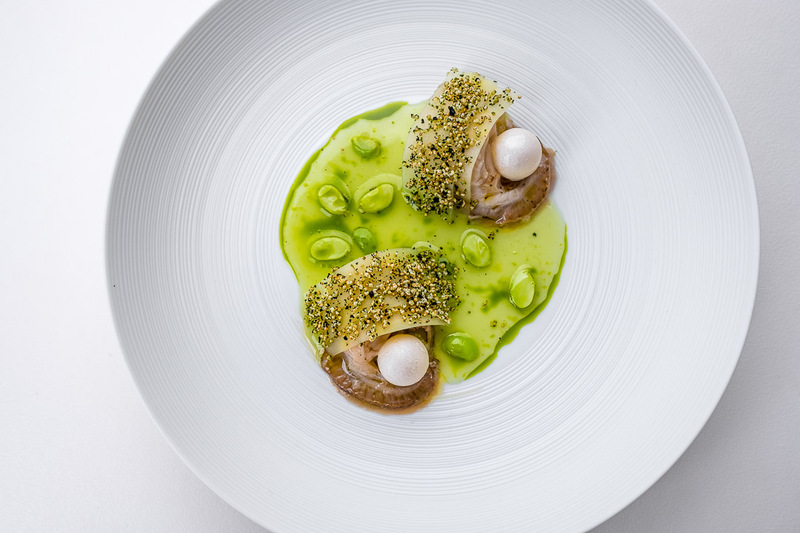 Let’s compare haute cuisine with haute couture. Chanel, Dior, etc., they all have a signature style and in the same time they define what is considered as high fashion. Evolution is just as much possible within our style. It’s all about finesse: using better fabrics (or produce), using more sophisticated sewing (or cooking) techniques and working on the perfect cut (or plating). Chef’s Secret: What about your free time? Does that also involve a lot of cooking and dining? 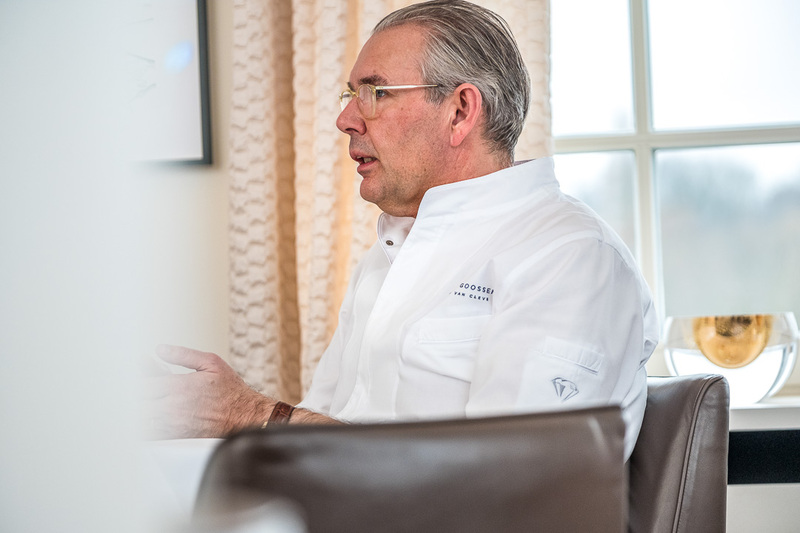 Peter Goossens: When we are not at work we definitely like to cook delicious food, but it doesn’t need to be so complex or extensive. 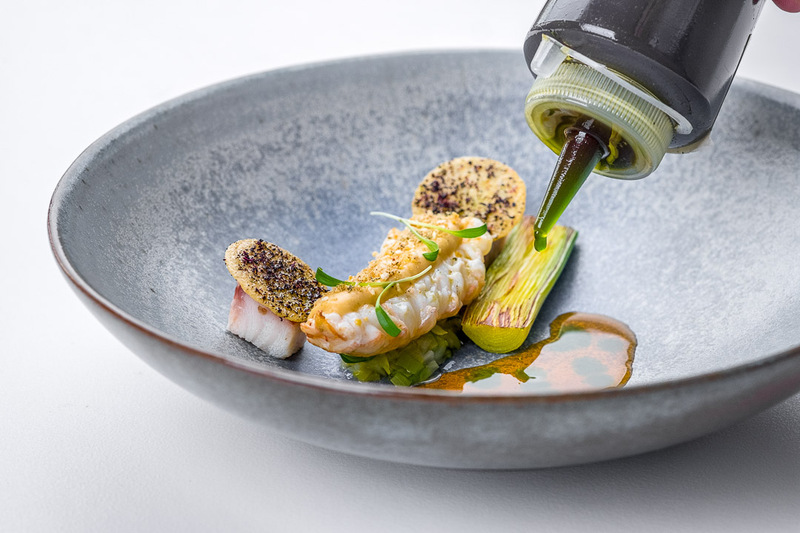 It’s not even possible to make dishes like we do at Hof van Cleve at home, as this would maybe require a full day of shopping and an huge variety of ingredients. 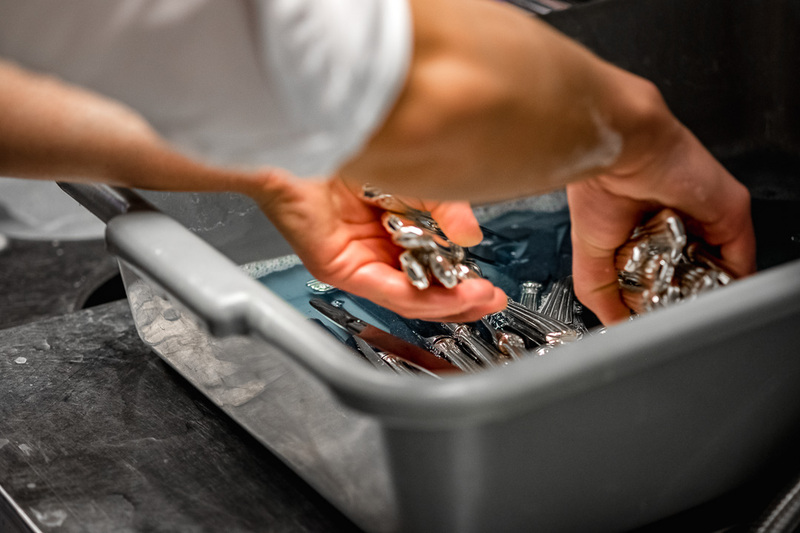 At the restaurant we work with a whole team to create each dish. So that’s not something we’re going to do at home. Anyhow, there are so many delicious foods in Belgium, a juicy chicken from the oven, a tasty stew, sea bass en croûte and of course some homemade croquettes. All simple, yet very tasty! 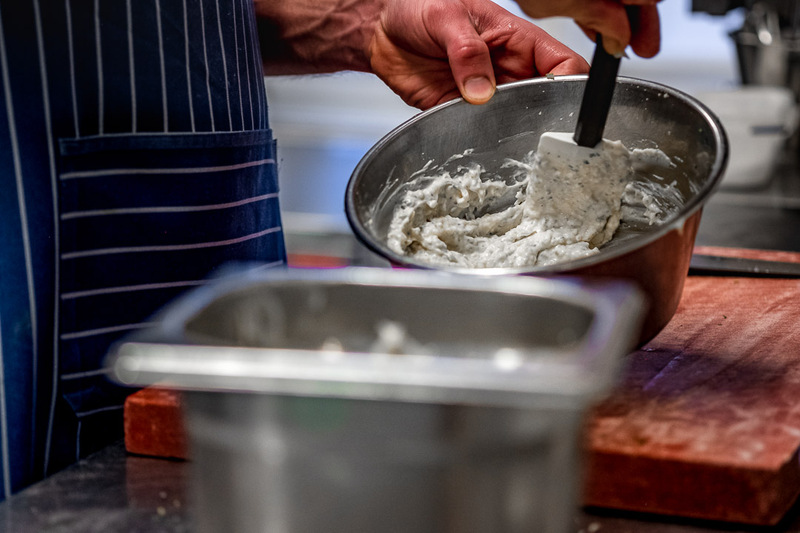 Chef’s Secret: Do you have a favourite ingredient or dish? 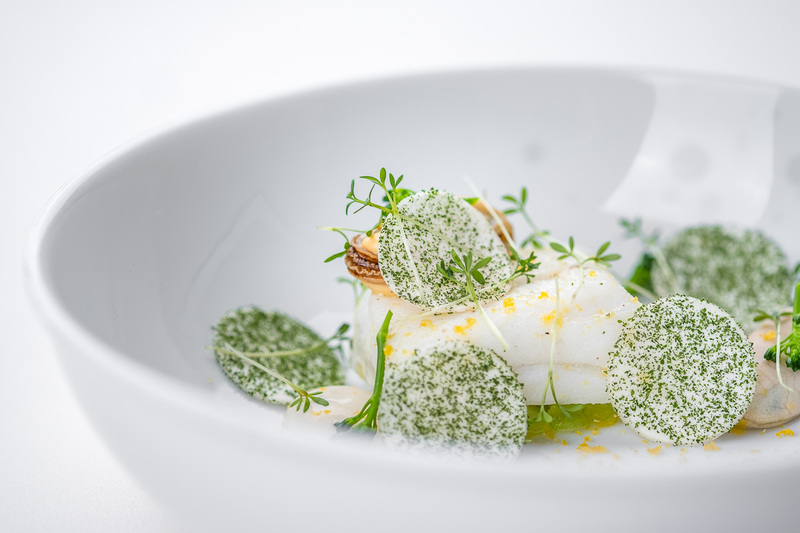 Peter Goossens: Well, dining in the summer is completely different from what’s on the plate during the winter. Things you crave also differ. You’re more likely to eat salad in the summer and stew during winter. And that variety is what makes the seasons so exciting. But I must say winter time takes a bit too long in Belgium I think. After so many months of cooking with cabbage and turnip, you’re longing for peas, asparagus, tomatoes, eggplant or of course chicory! Chef’s Secret: You’re 55 years old now. Have you already thought about what could be next? 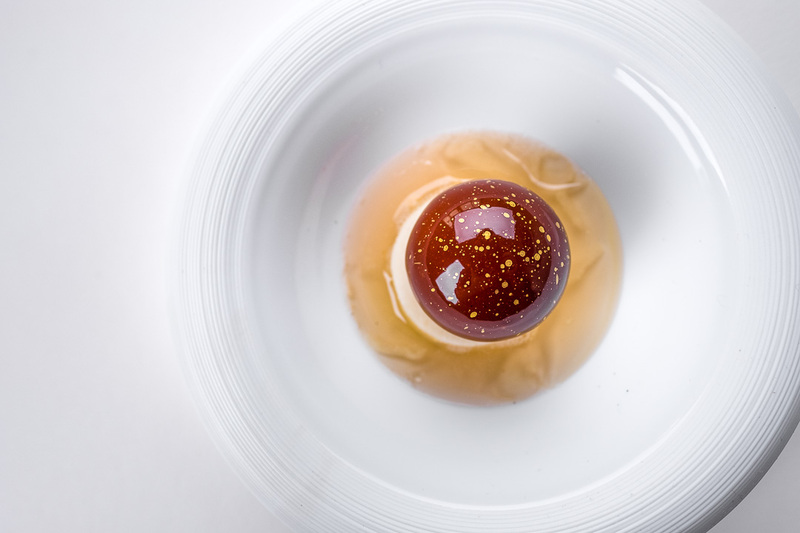 What would you do after saying goodbye to gastronomy at the highest level? Peter Goossens: Honestly, I try not to think too much about the moment of quitting. It will definitely be extremely difficult to stop doing something you’ve done with all your heart and soul for so many years. After you’ve read your daily newspaper or have played a game of darts… I guess I would not know what to do. In our profession it’s very difficult to have hobbies or to maintain a social life. Birthdays, parties,… people invite you once, twice, maybe three times, but if you always have to decline the invitation because you’re working, after a while people just stop inviting you anyway. Although we have made lots of sacrifices during our career and I might have to admit that I do have the feeling we missed out on some nice things, I also realize things are just the way they needed to be. 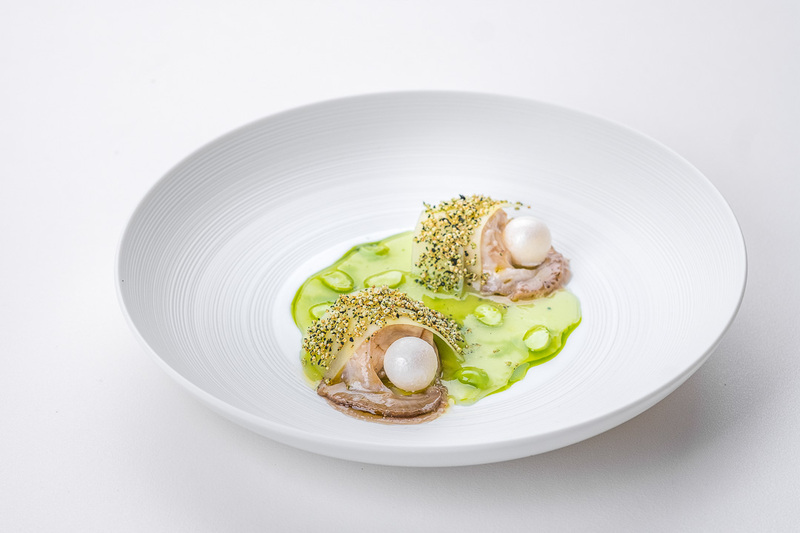 Once you’ve been bitten by the virus of gastronomy and perfection, it’s impossible not to go all the way and to give the very best you have. So that’s what we’ll keep on doing as long as we can. 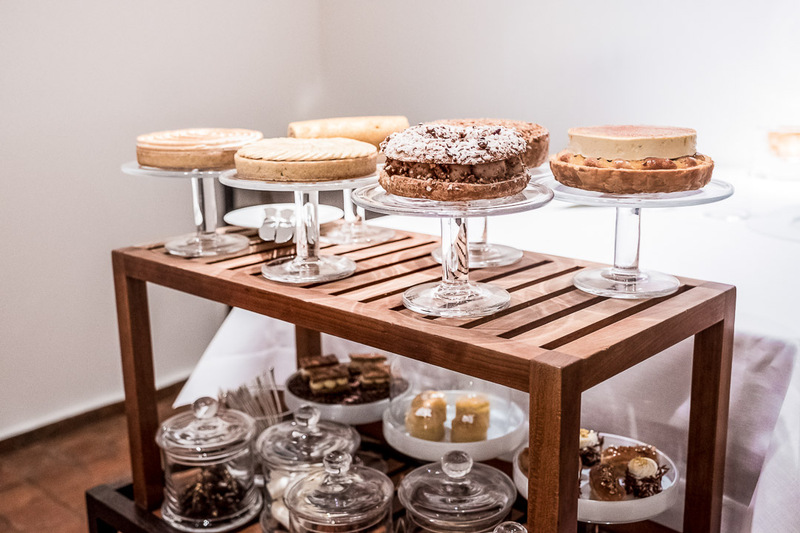 Guests can choose between à la carte dishes or a tasting menu (five or seven courses, vegetarian or non-vegetarian, with or without juice or wine pairing). We’re happy to try the chef’s tasting menu. 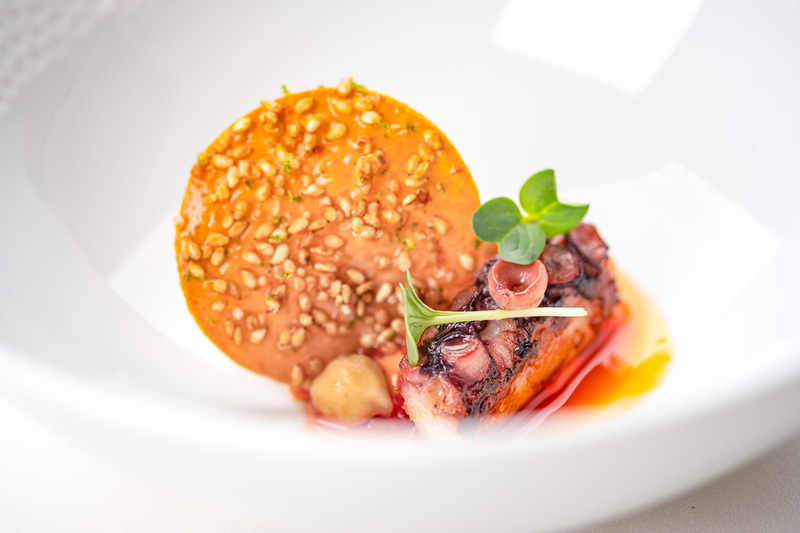 Appetizer, made of octopus, chorizo, comté cheese. 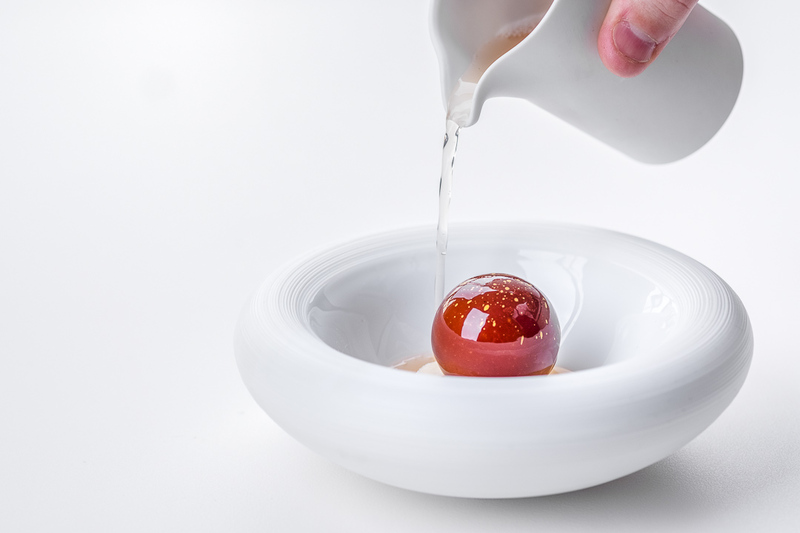 Native oyster from Zeeland 6/0, ponzu, yogurt and apple. 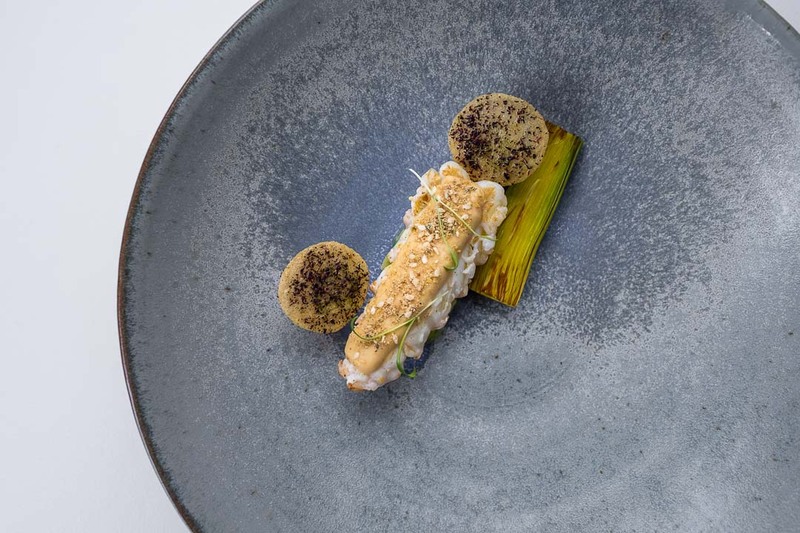 Razor shell, eggplant, hijiki and miso. 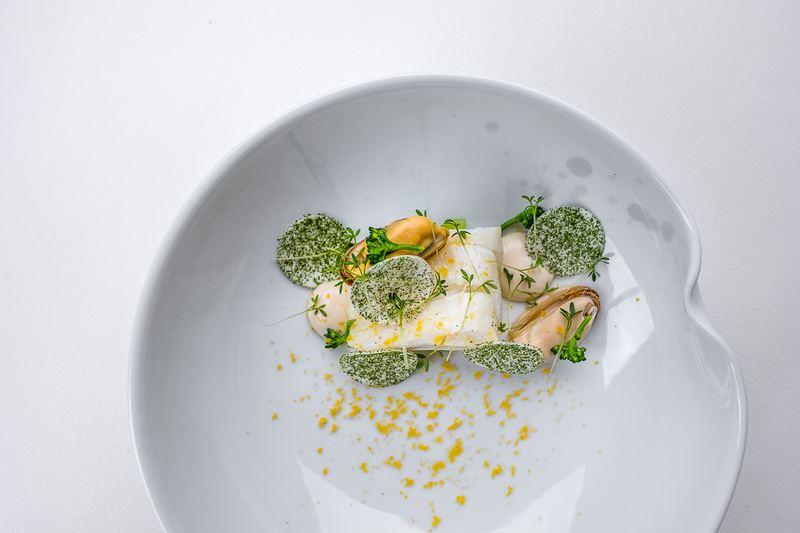 Codfish ‘North Sea’, celery, chervil and mushroom. 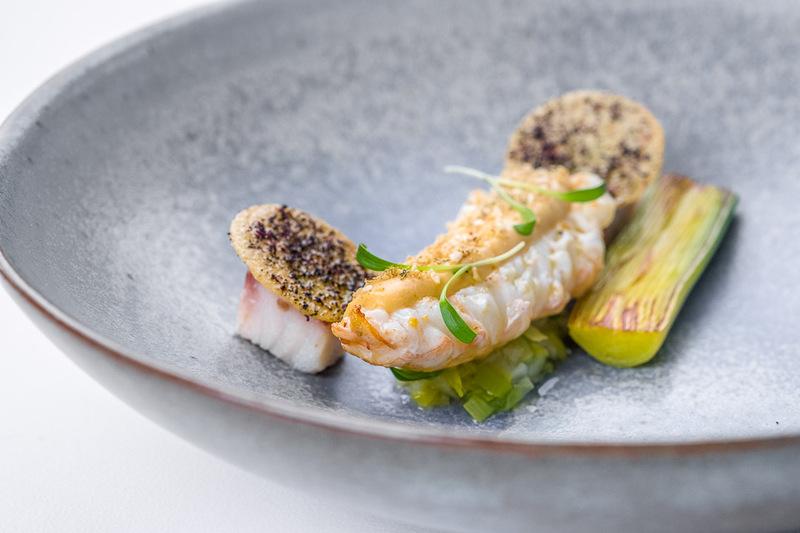 Langoustine ‘Guilvinec’, smoked eel, leek and coriander. 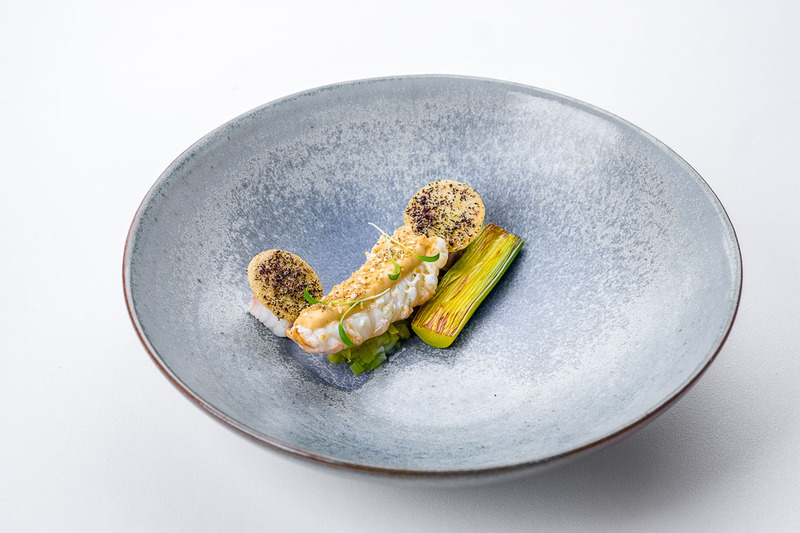 Scallop ‘Erquy St-Brieuc’, salsify, bellota and lovage. Chocolate Mexico 70% from Dender, pear, almond and vanilla. And last but not least an impressive chariot with a variety of sweets and pastry. At Hof van Cleve “god is in the details”. The team is striving to grant every guest the best possible experience, both in terms of service and food. 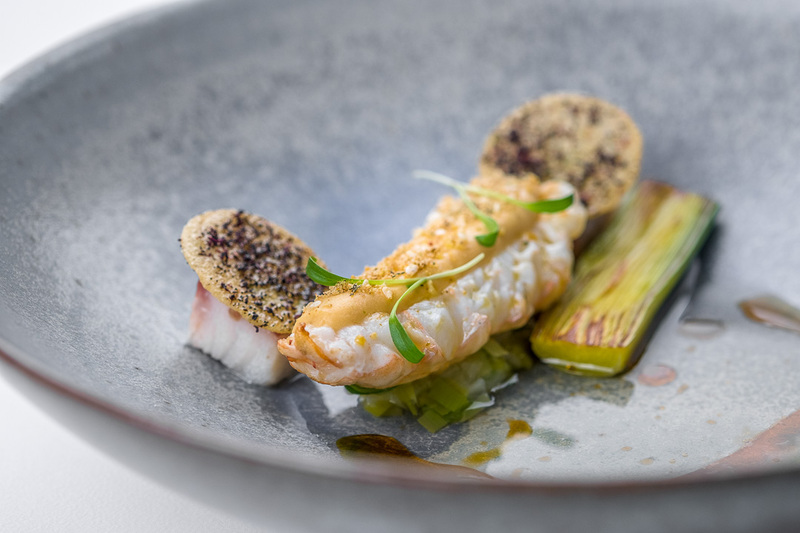 The cuisine of chef Peter Goossens represents contemporary, yet classic Belgian dishes in an innovative way with an unseen level of refinement. 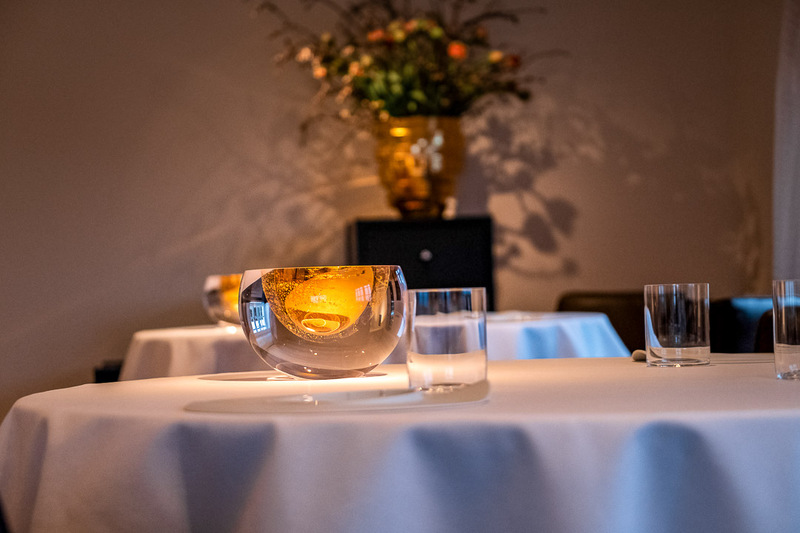 Justly the most renowned and adulated restaurant in Belgium.